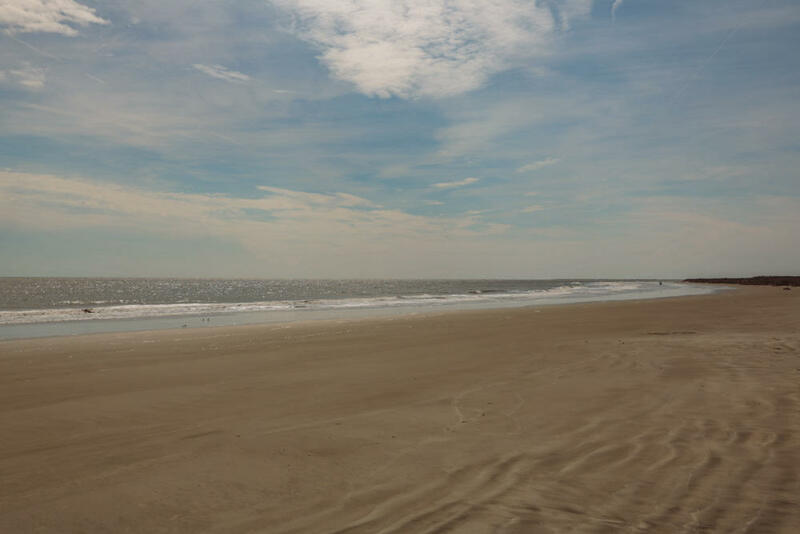 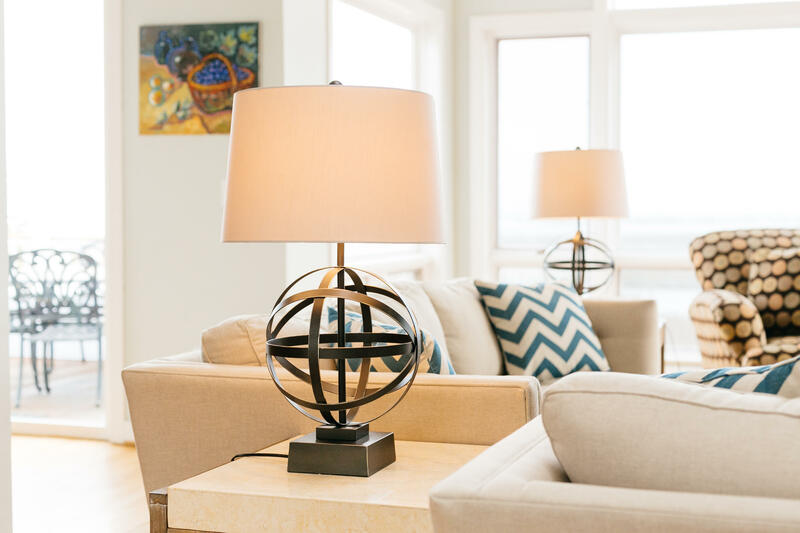 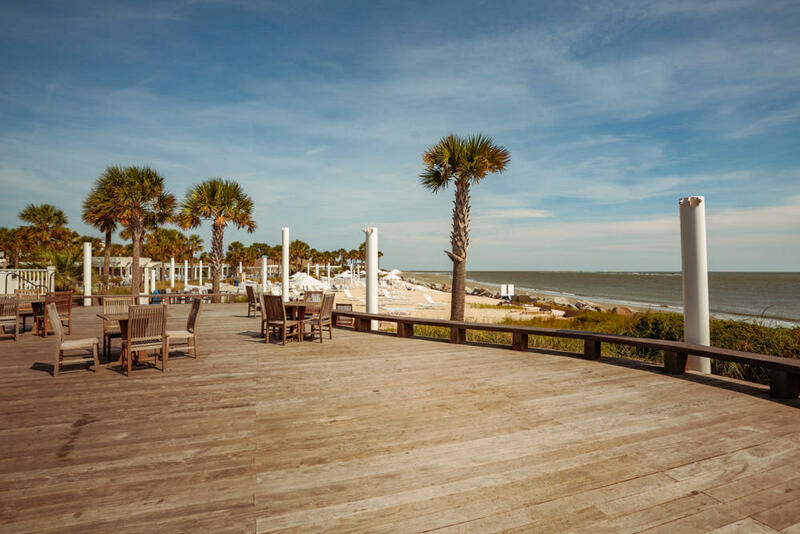 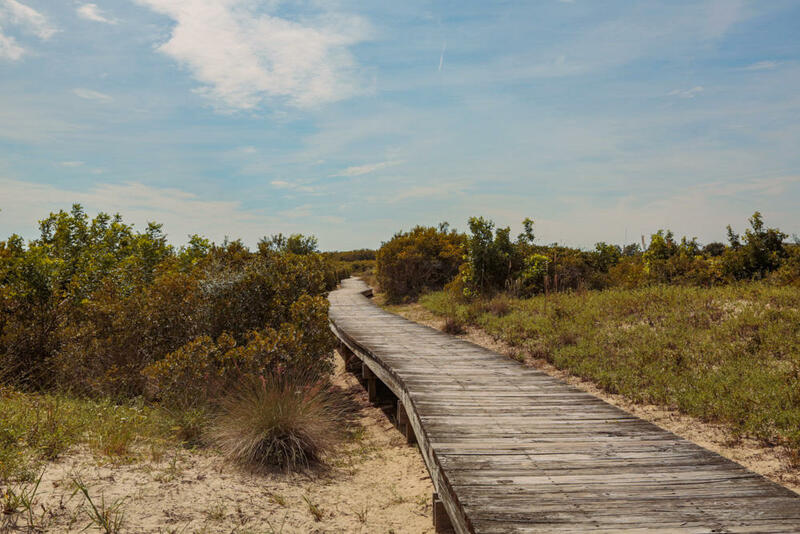 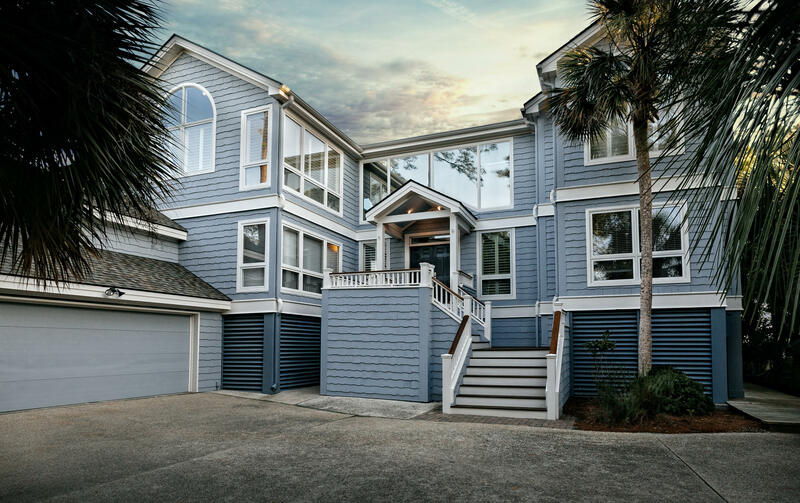 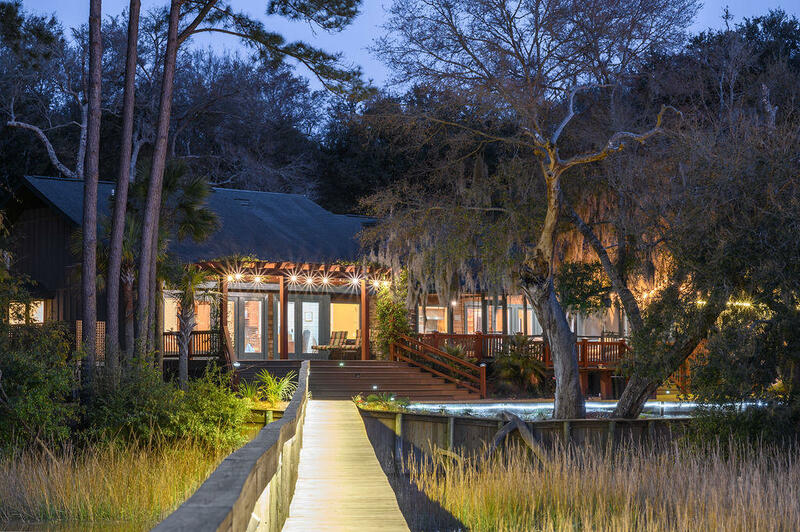 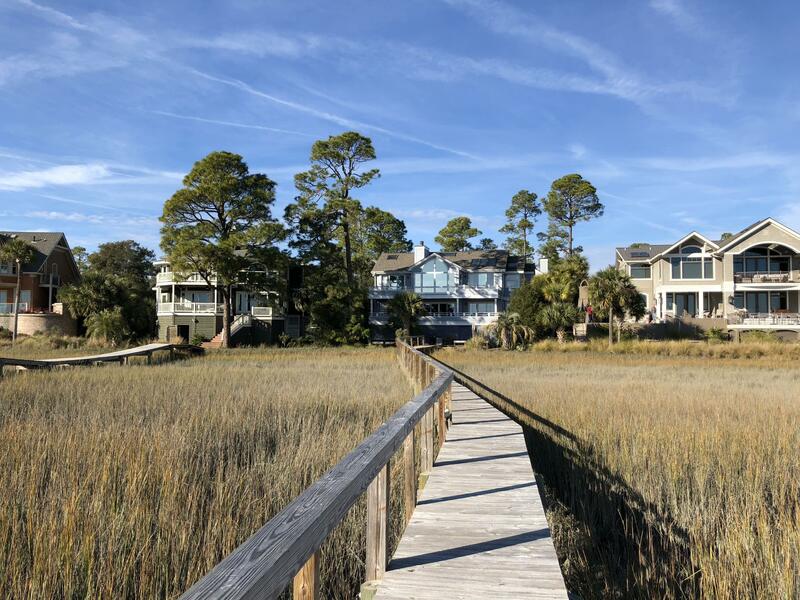 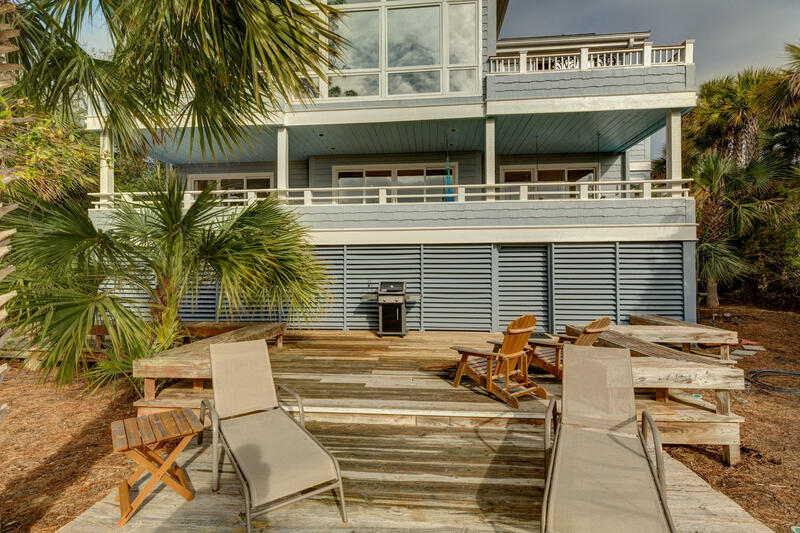 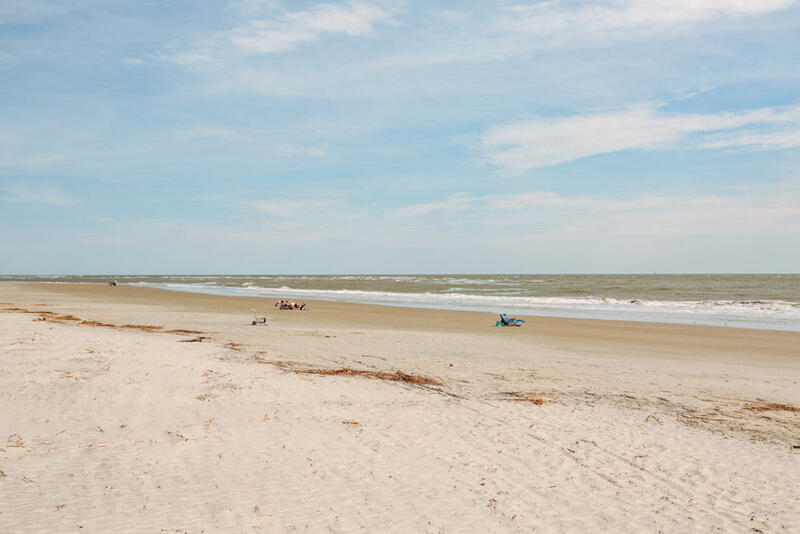 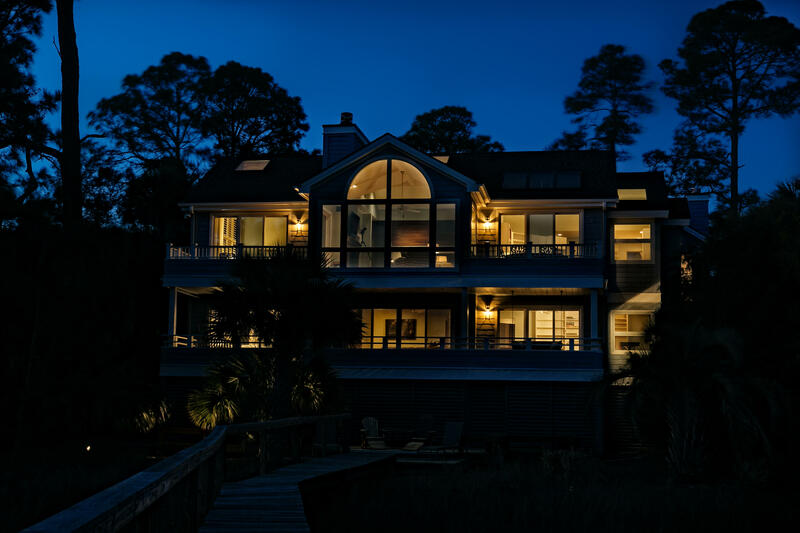 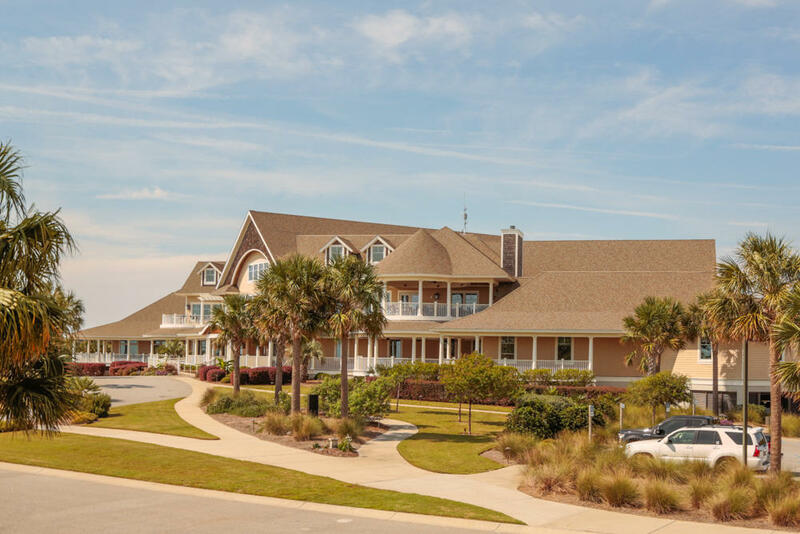 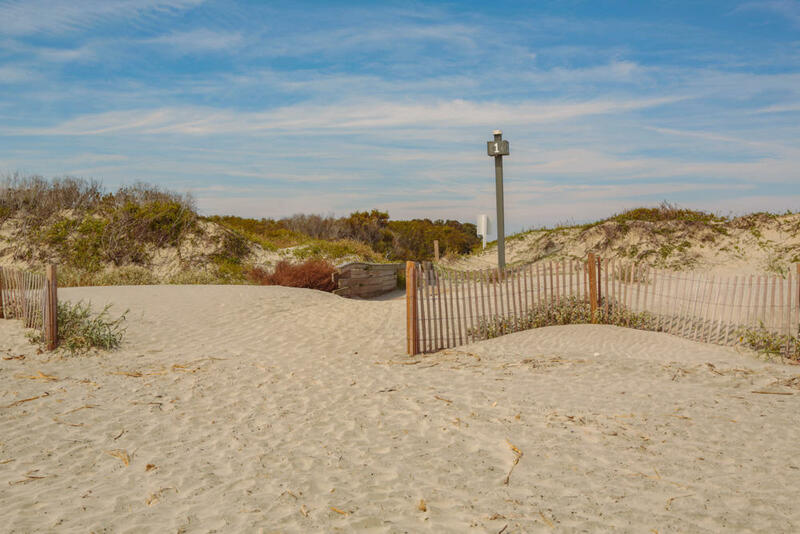 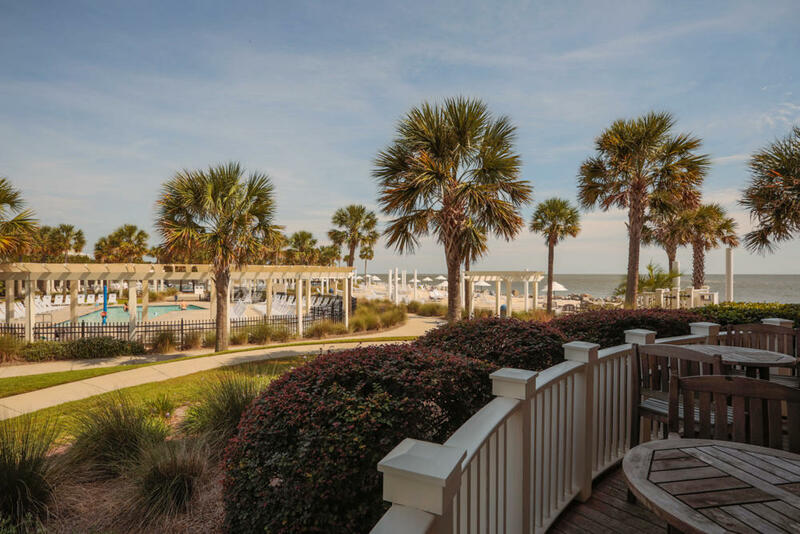 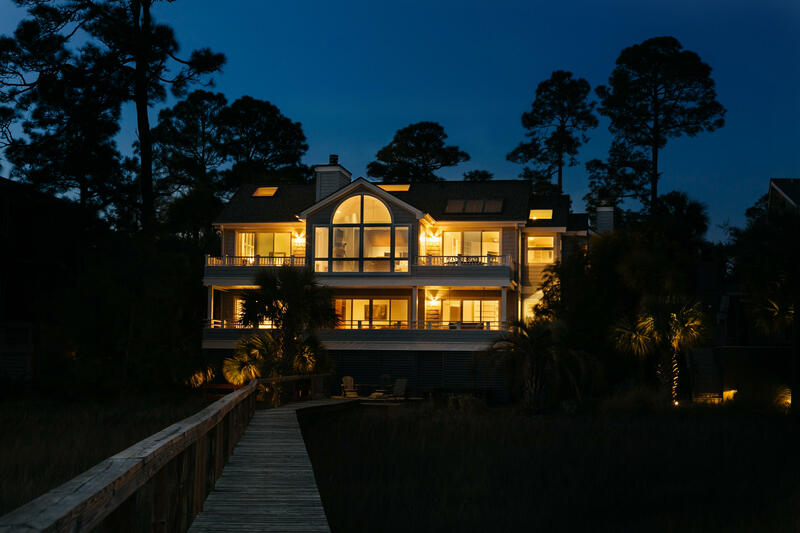 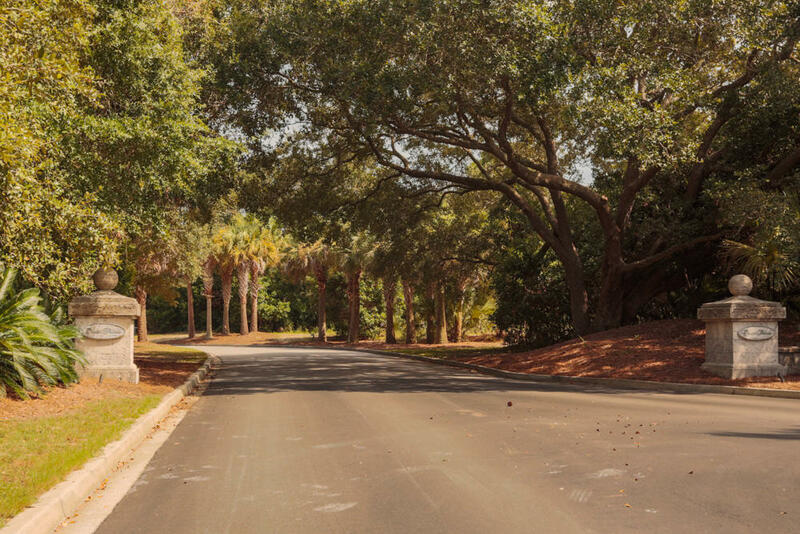 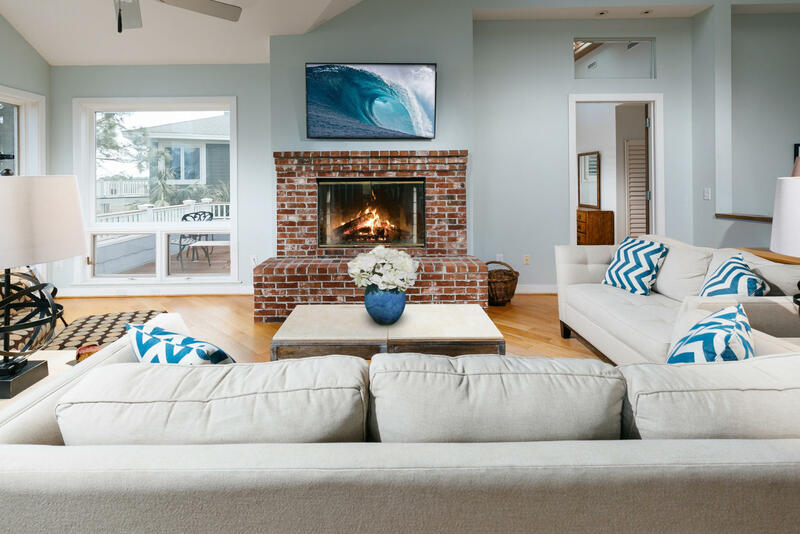 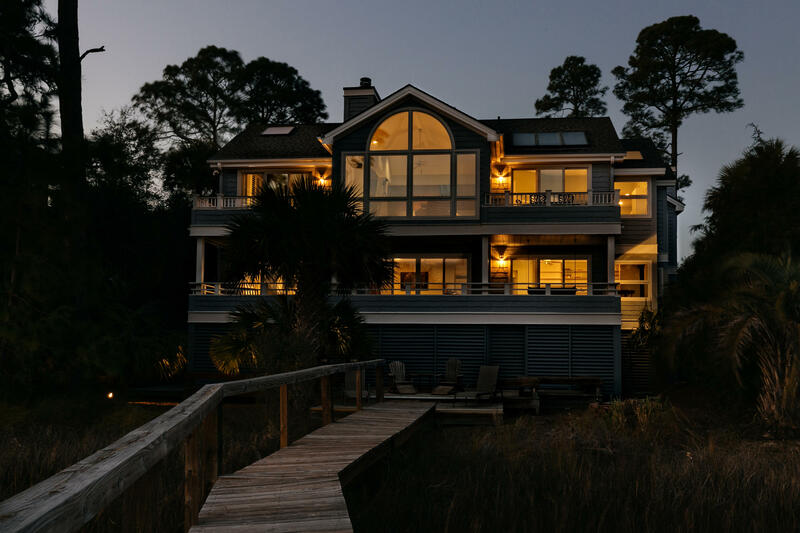 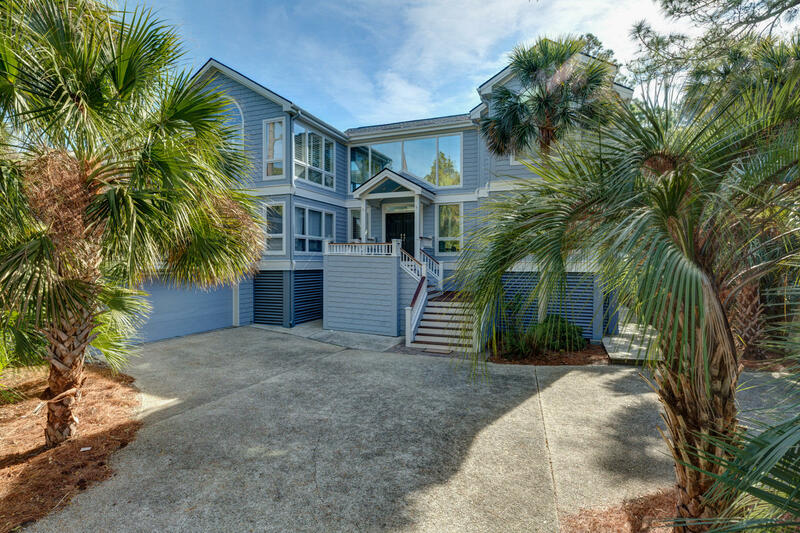 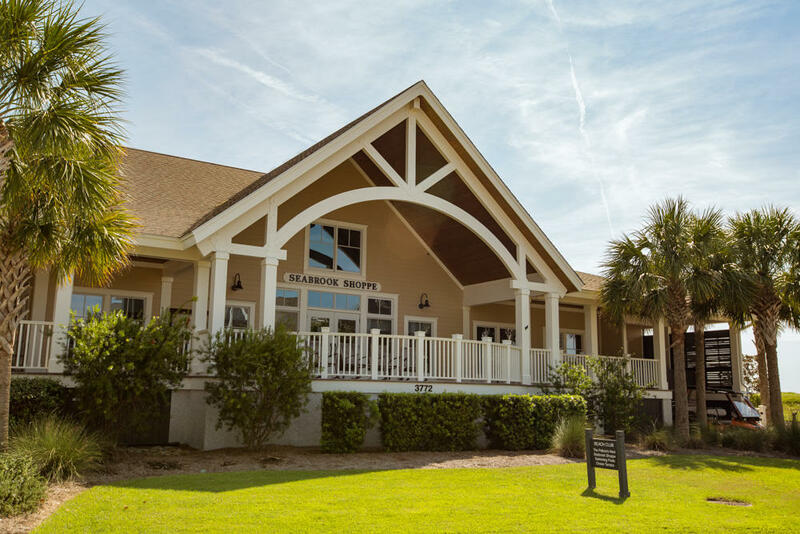 Step into this luxury property nestled away on desirable Seabrook Island off of coveted Marshgate Drive. 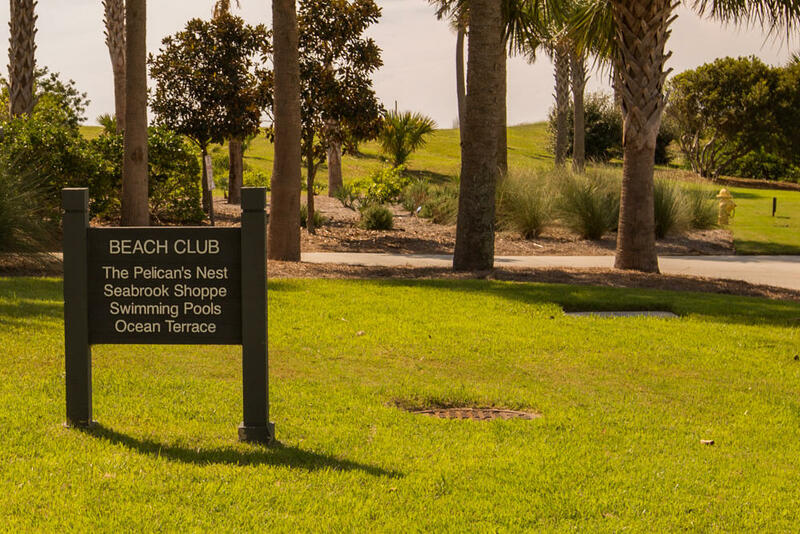 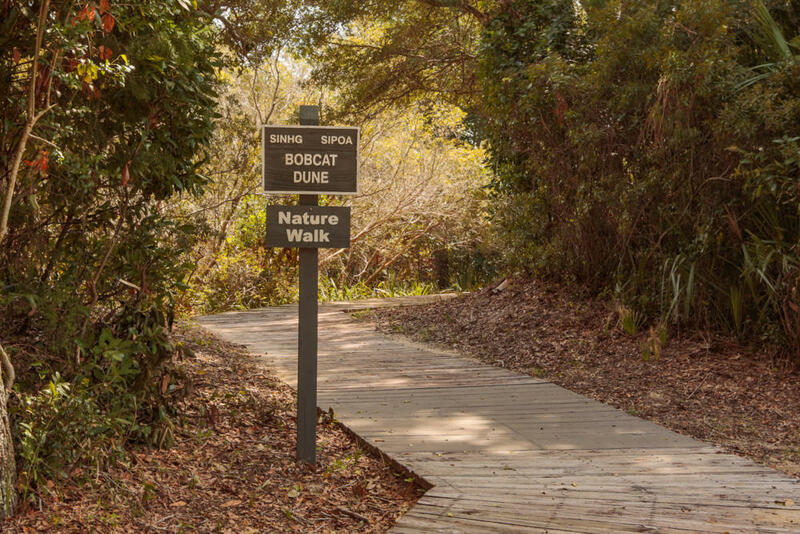 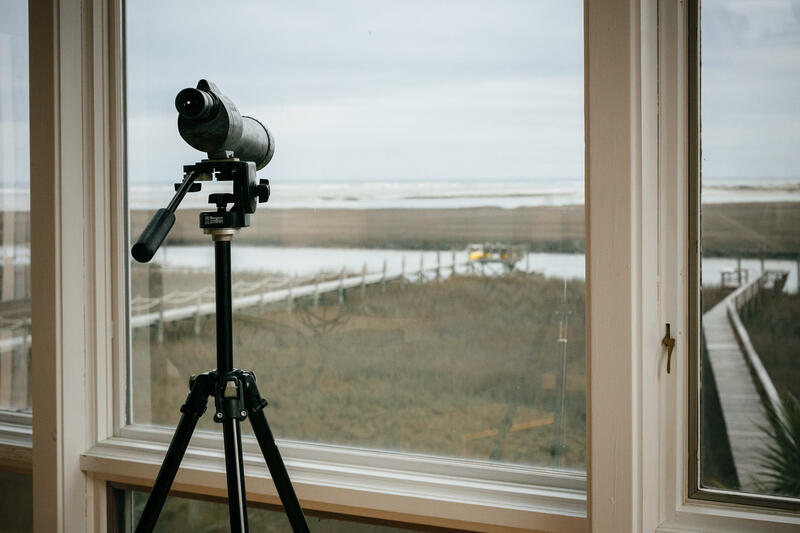 Enjoy watching wildlife while taking in the best nature has to offer. 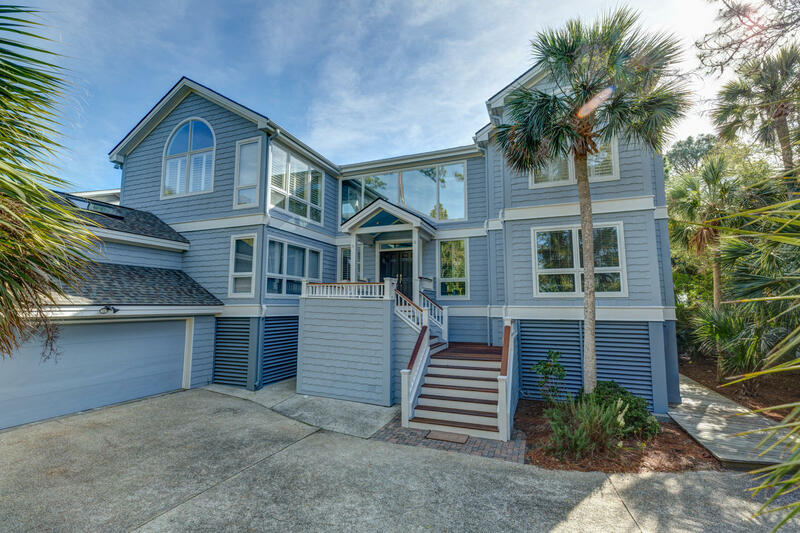 This home boasts 4 large bedrooms and 4.5 baths. 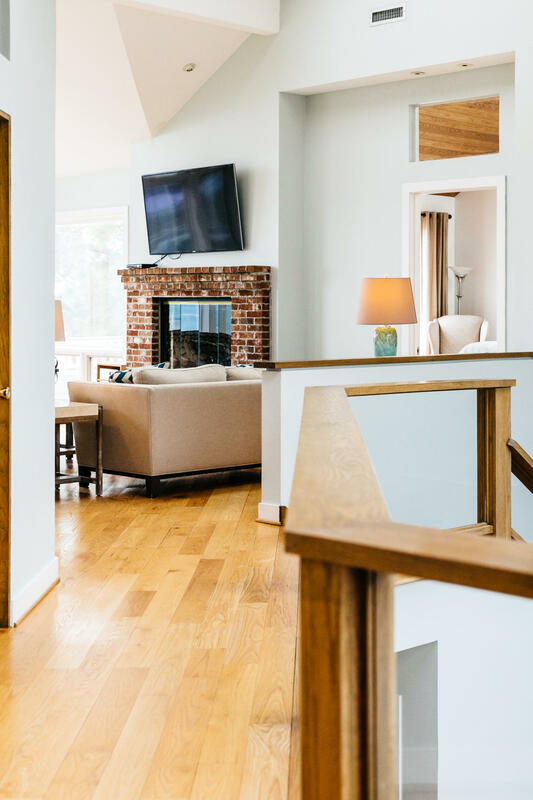 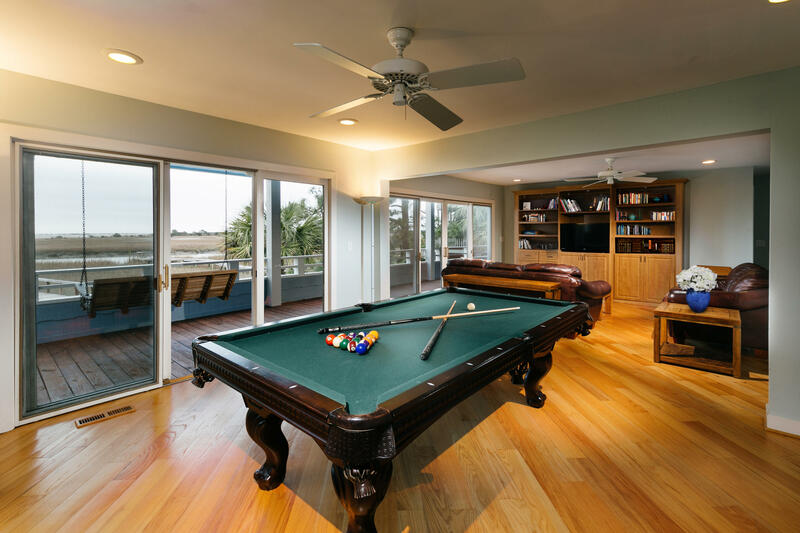 The open floor plan is perfect for entertaining. 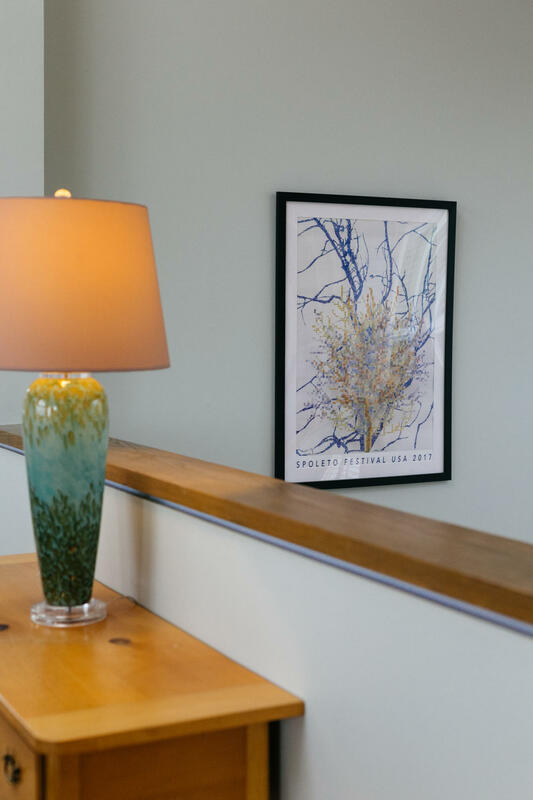 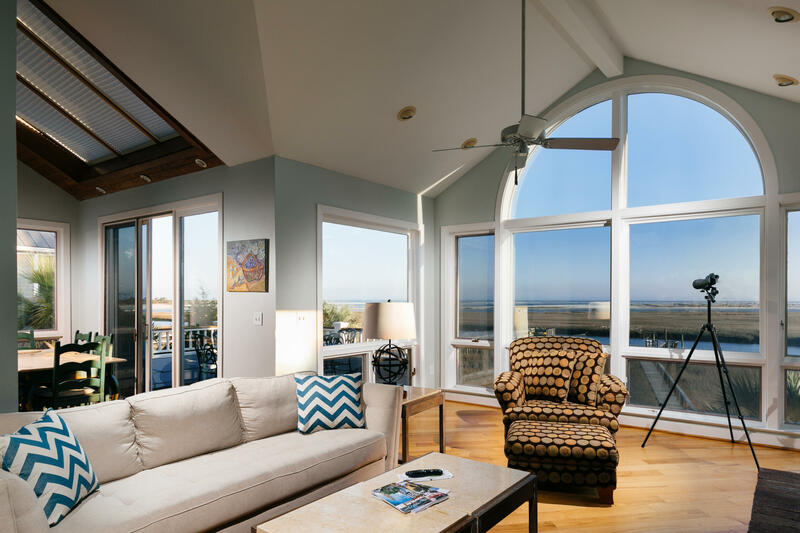 Floor to ceiling windows offer up majestic views and creates a bright atmosphere that also enables warm breezes to carry thought the home. 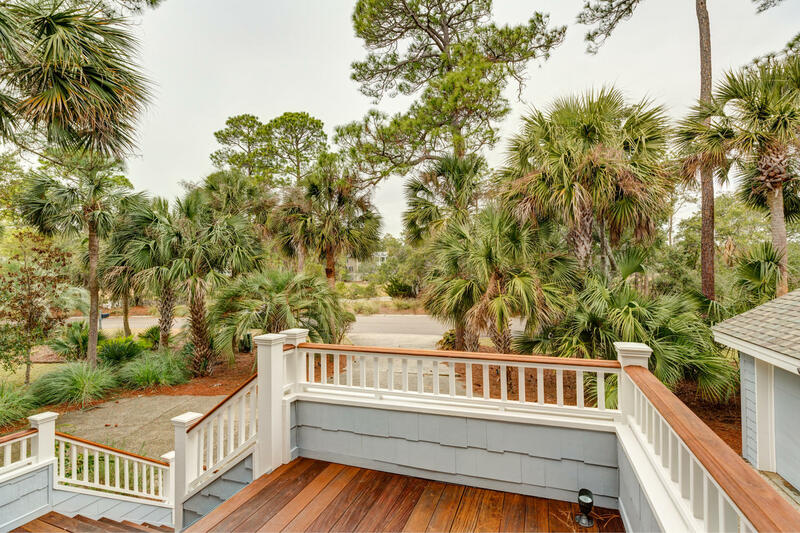 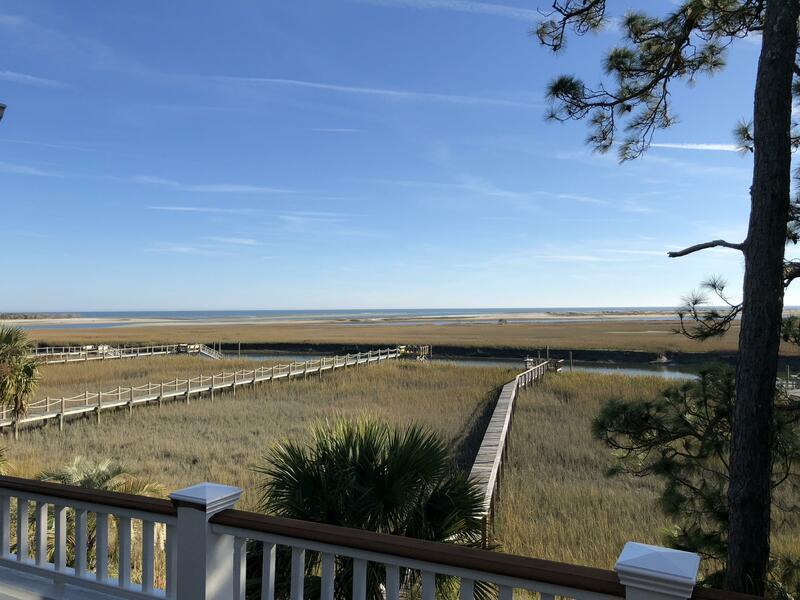 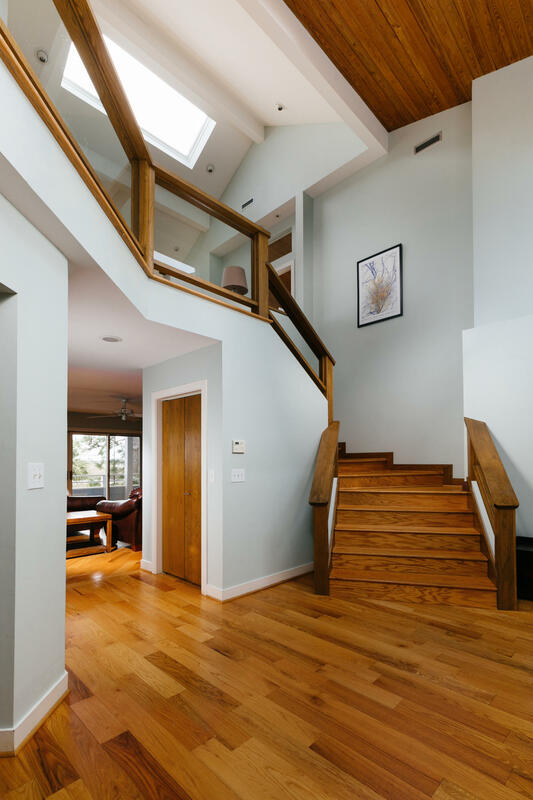 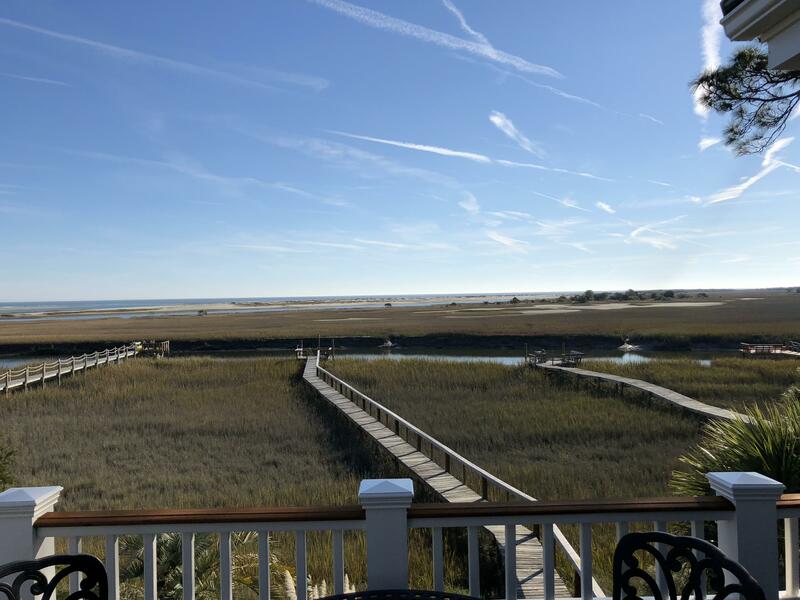 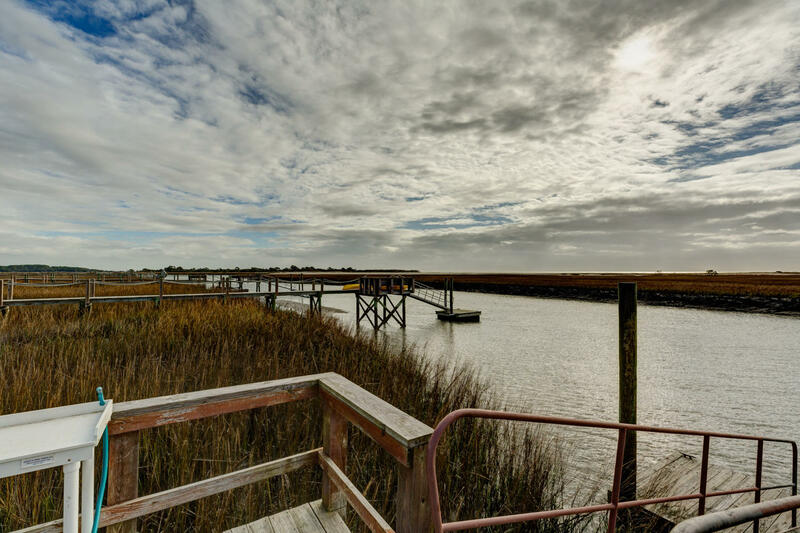 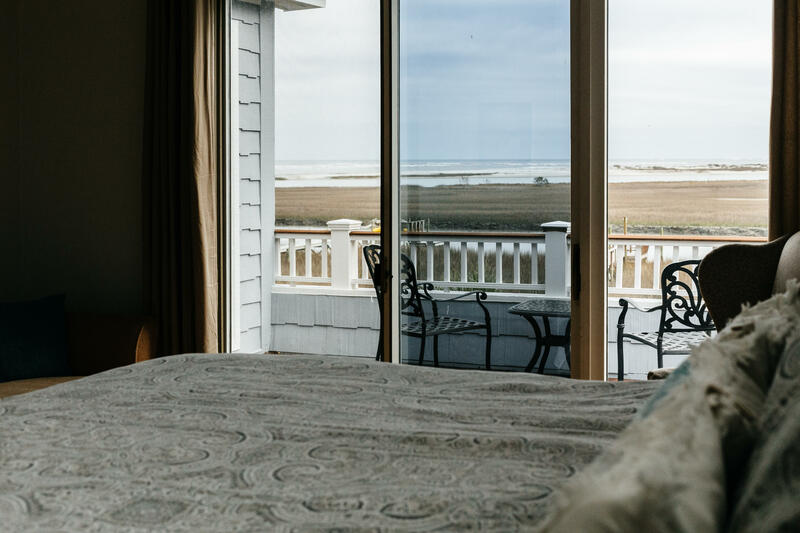 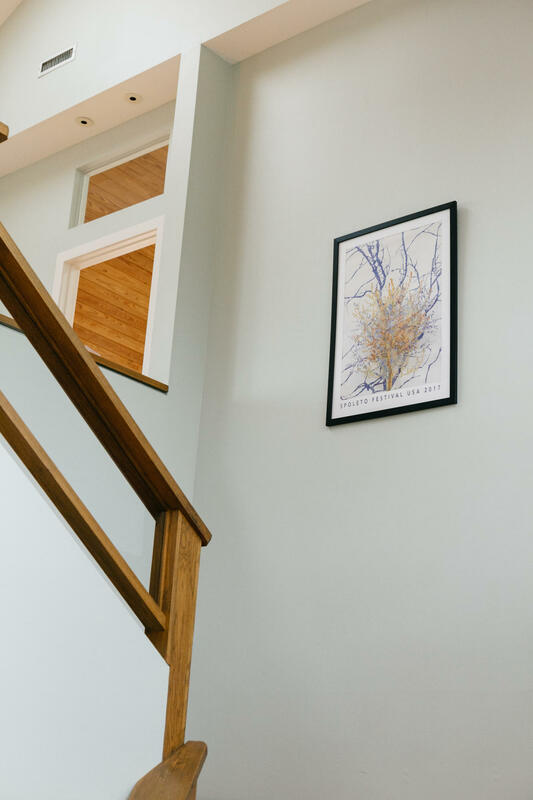 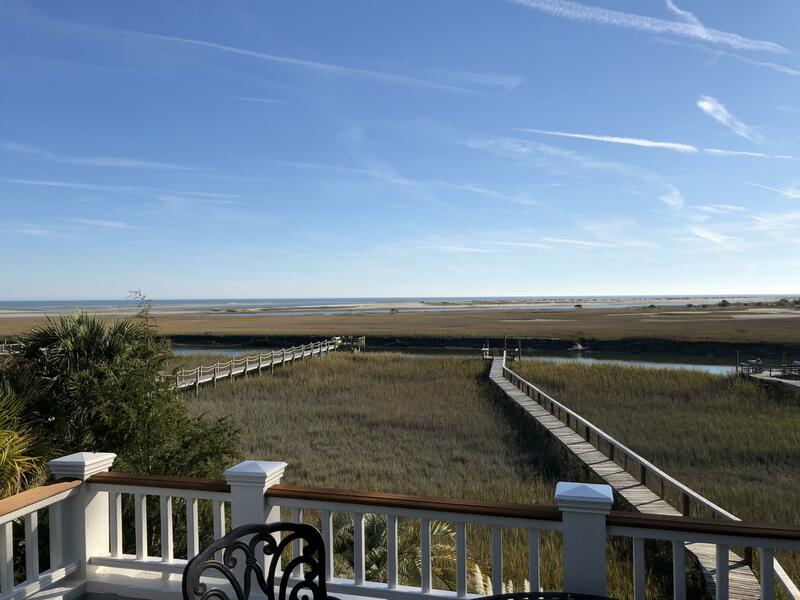 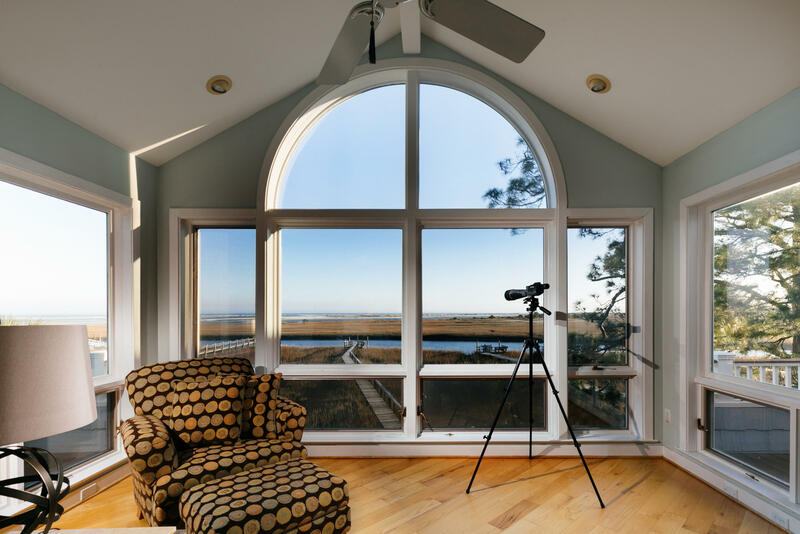 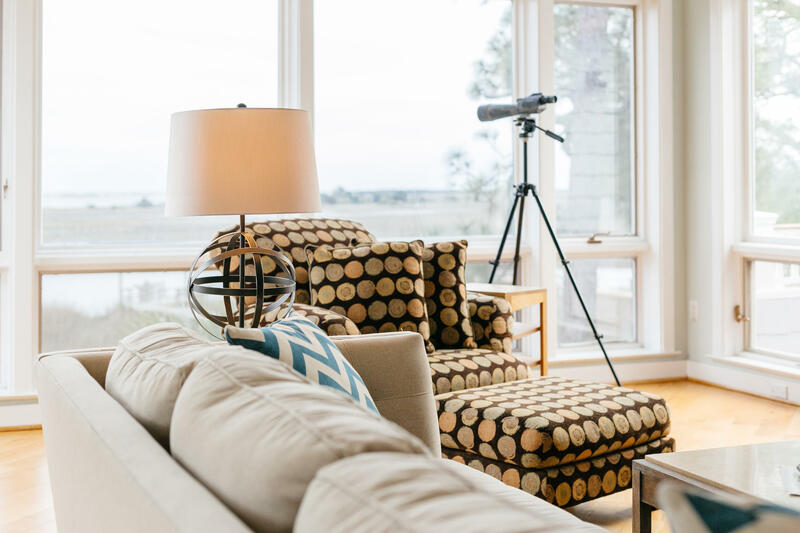 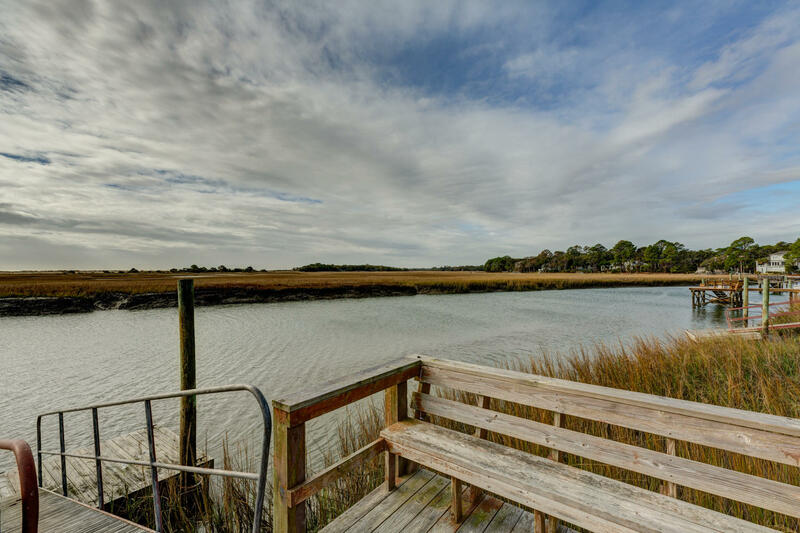 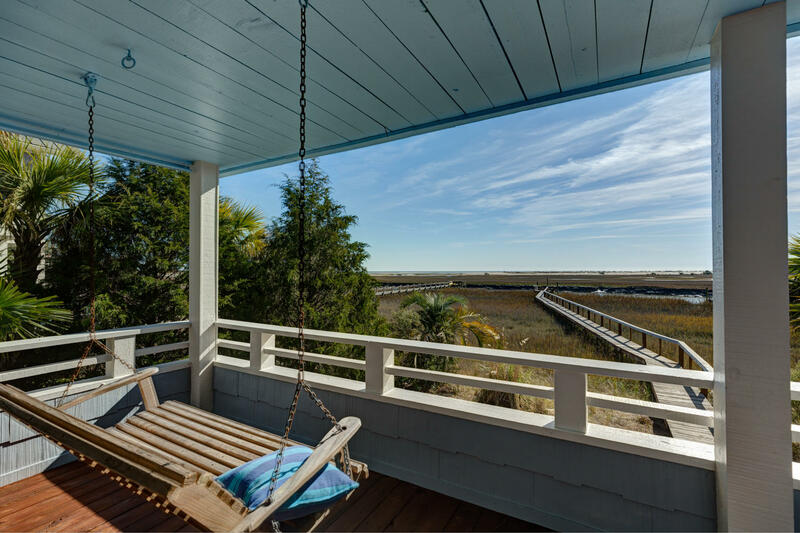 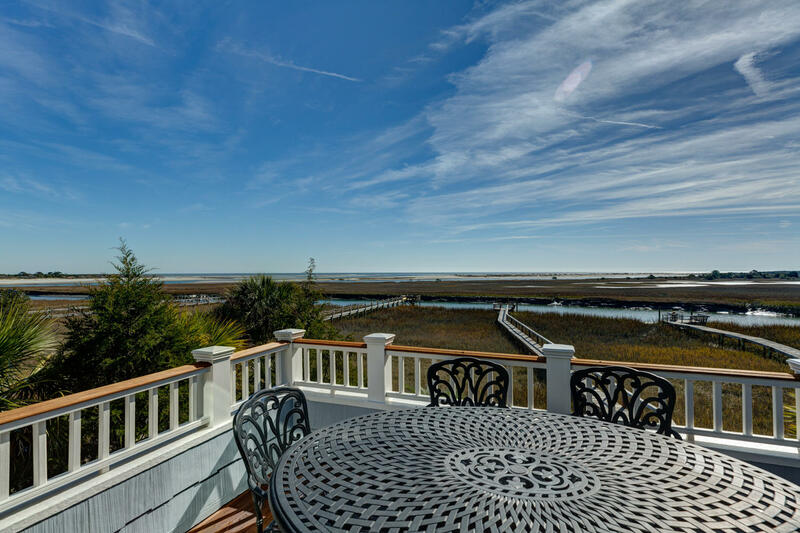 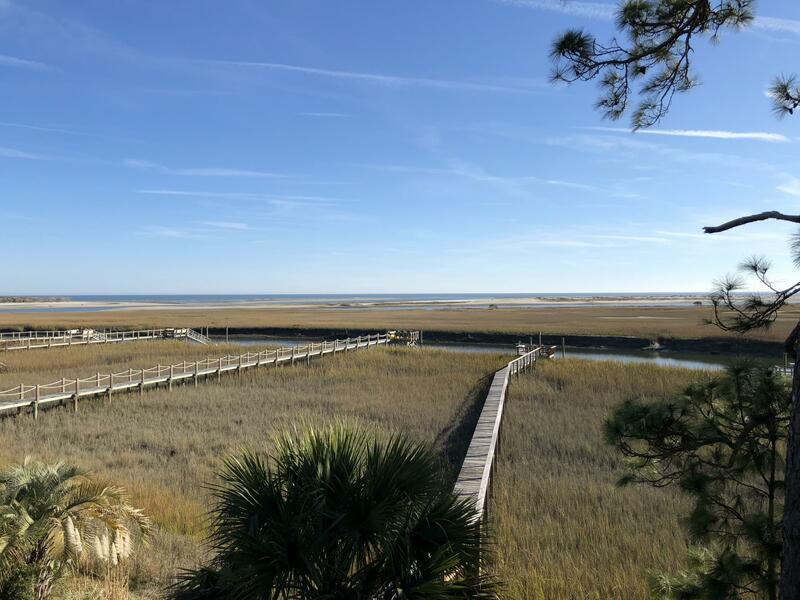 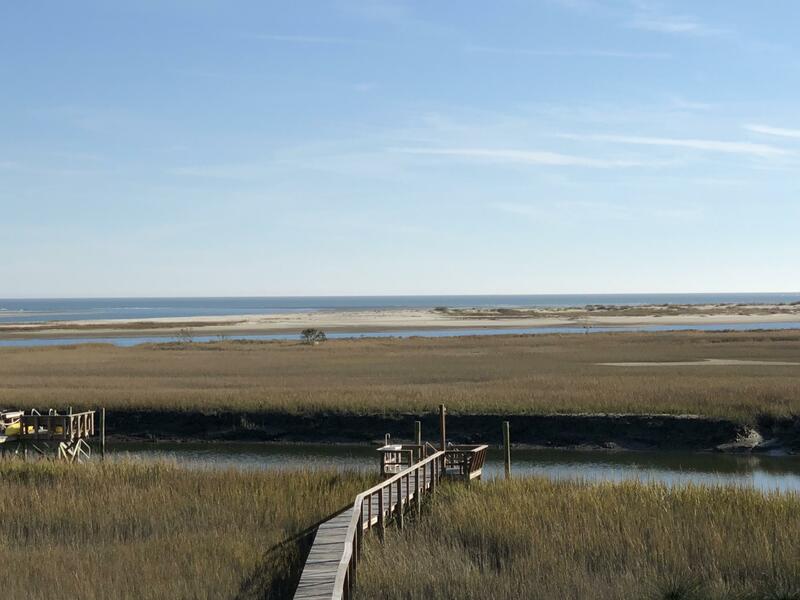 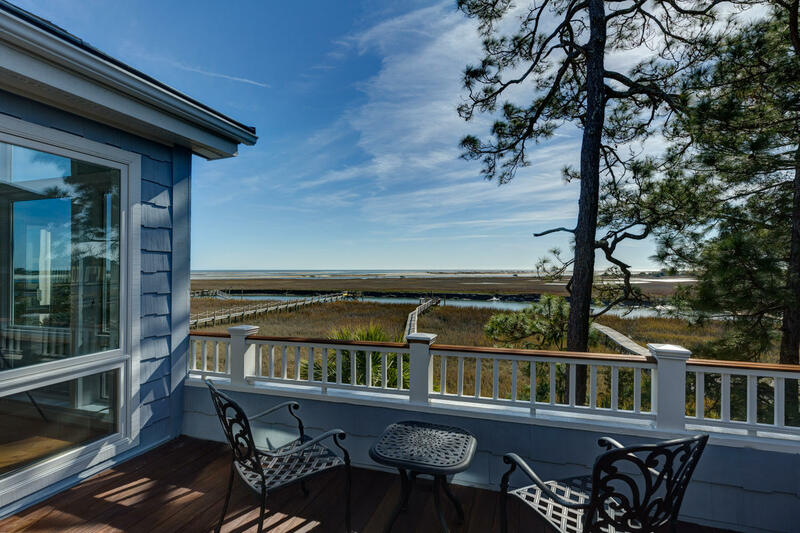 The marsh and ocean view can be seen from the two story foyer in the front of the home. 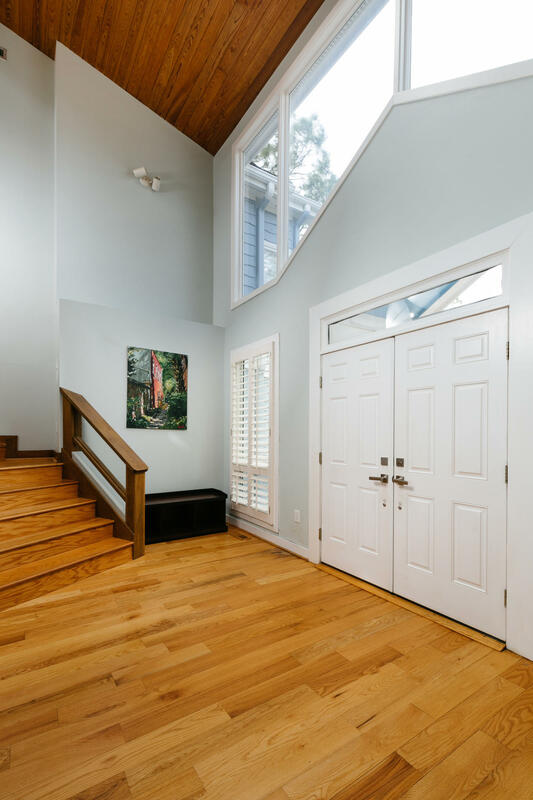 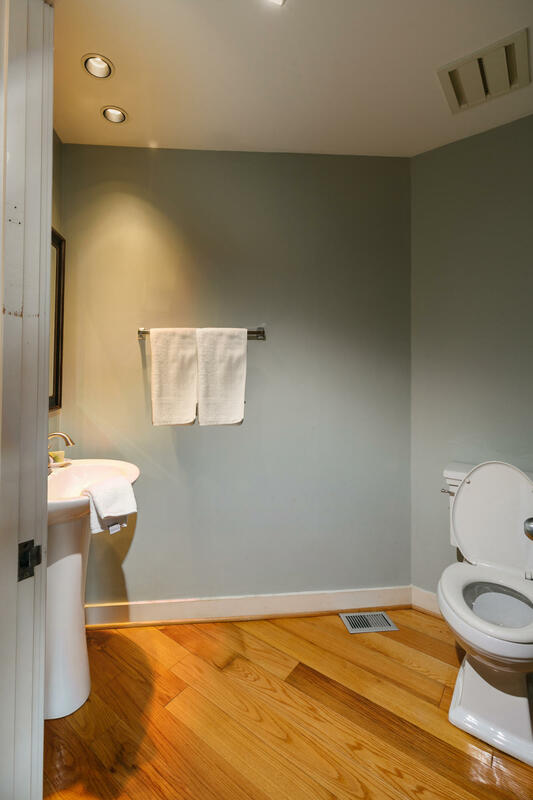 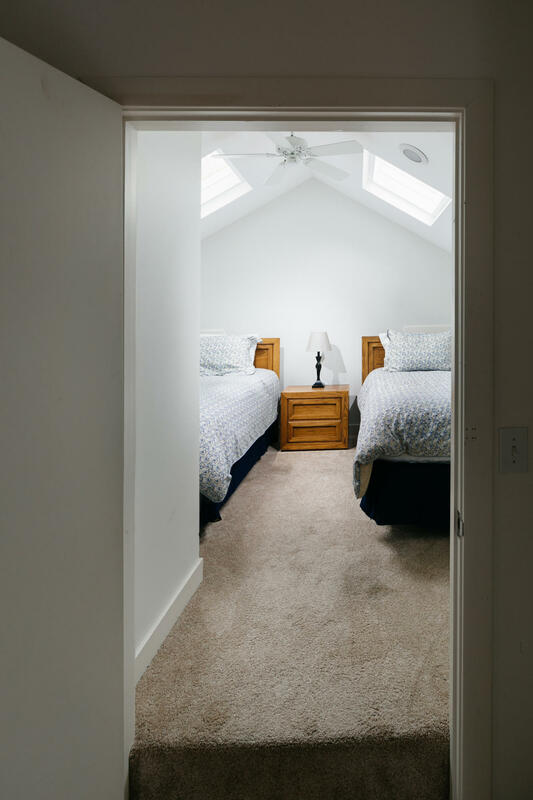 As you enter, to the left is a large bedroom and an en suite full bath with a walk-in shower and skylights. 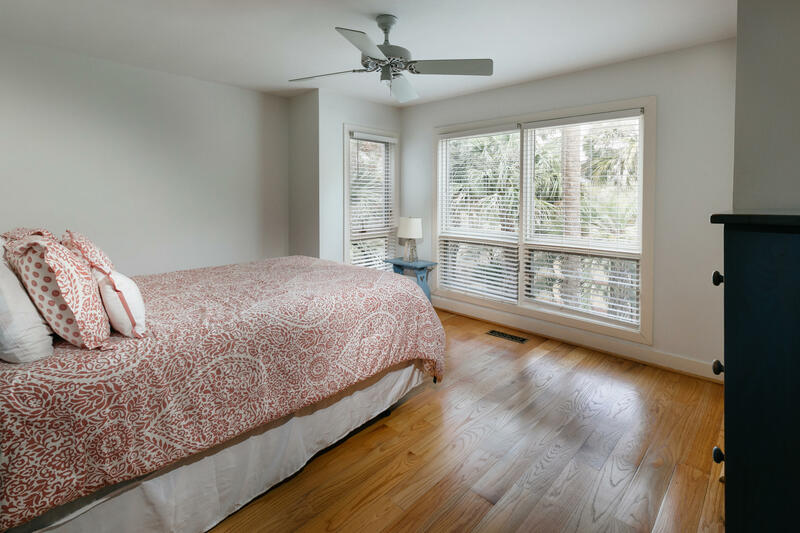 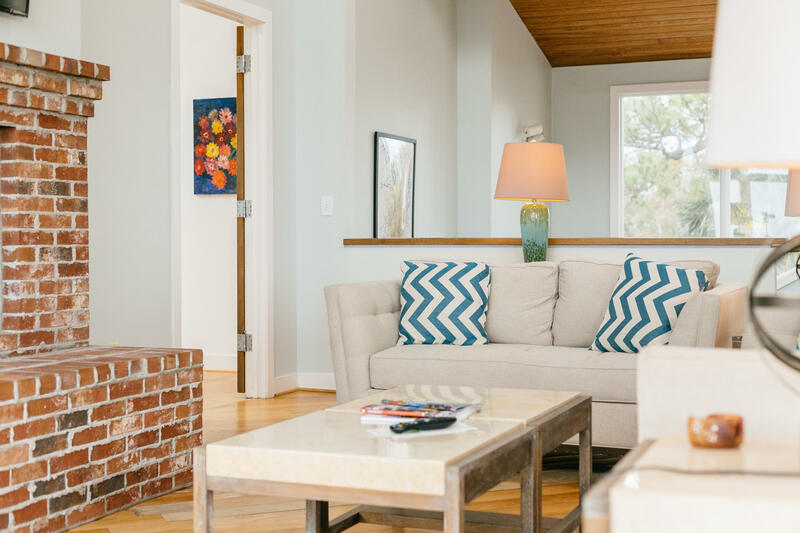 Also on the main level is a large laundry room, half bath, and an expansive bonus room facing the ocean. 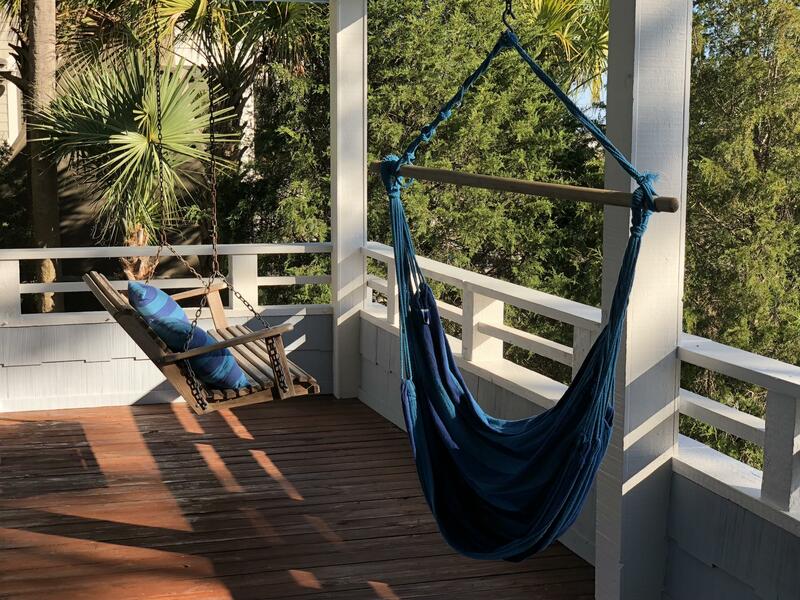 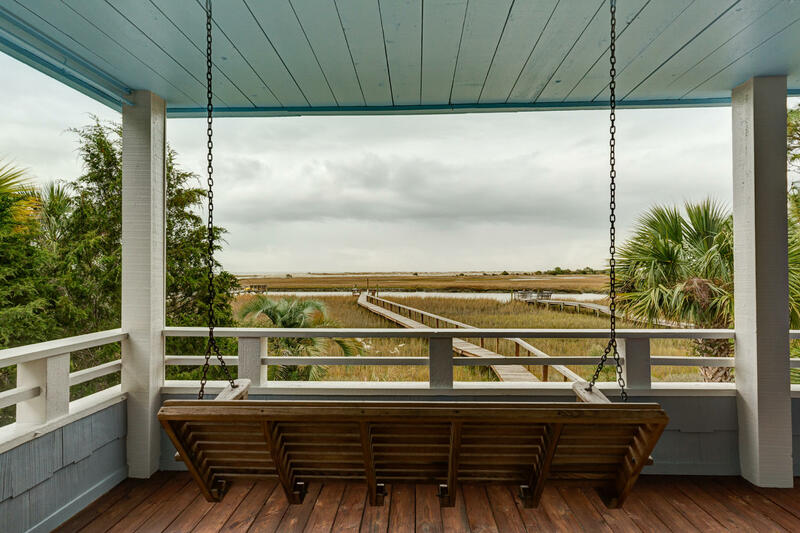 Step out onto an impressive deck with seating that spans the whole back of the home Enjoy sipping sweet tea on the hanging swing. 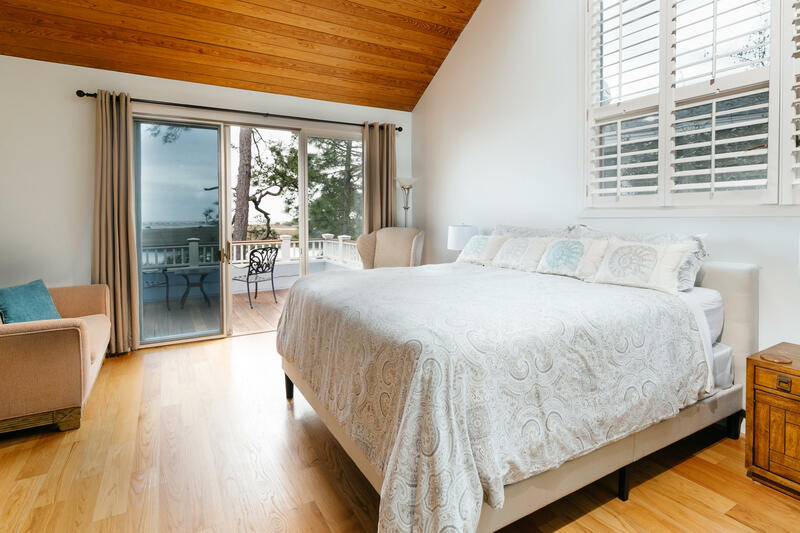 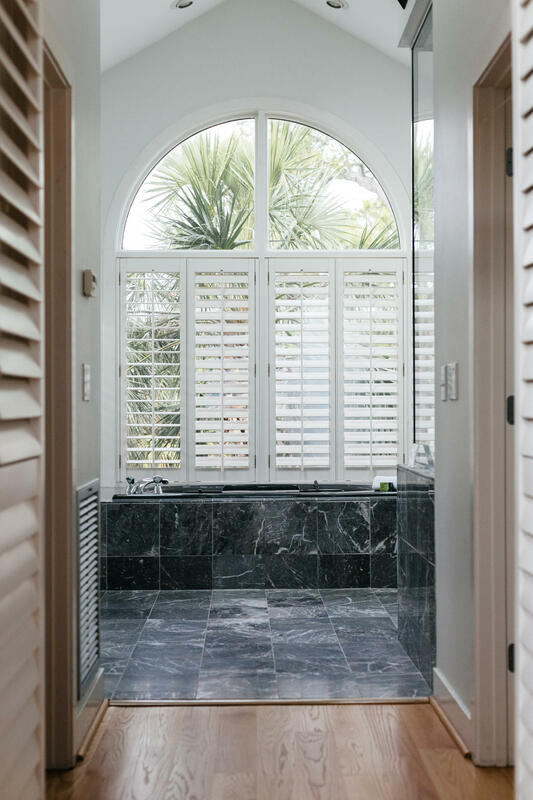 Also on the main level are two additional bedrooms, an en suite with a walk-in shower looking out to the ocean. 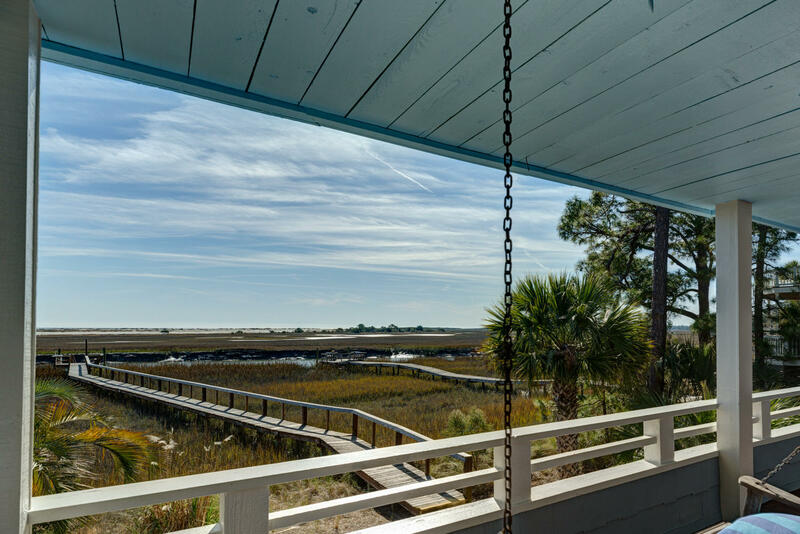 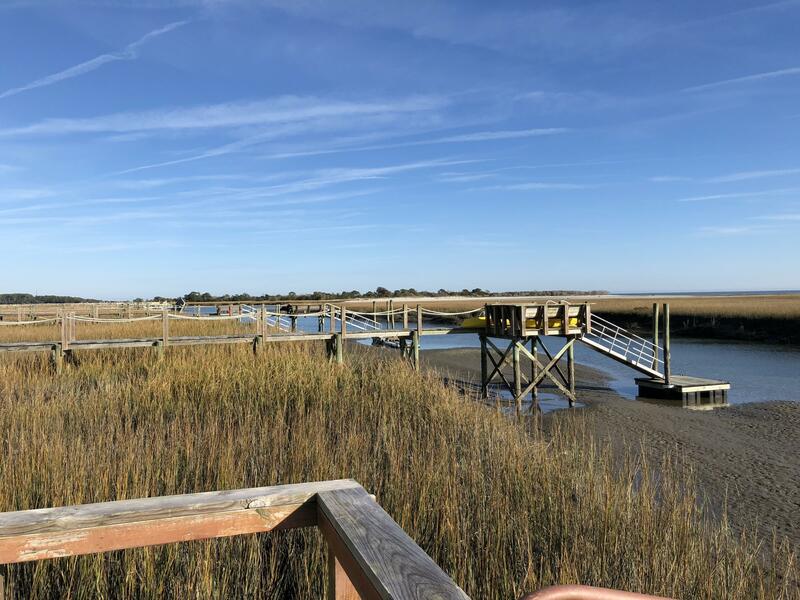 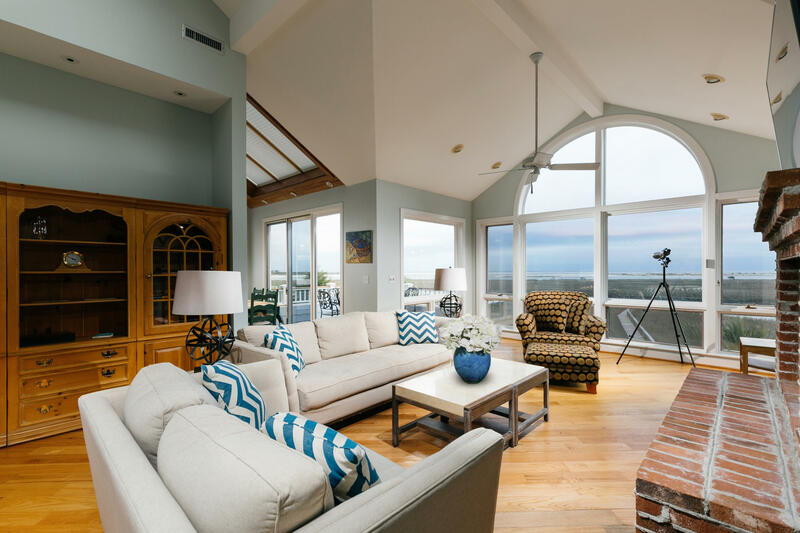 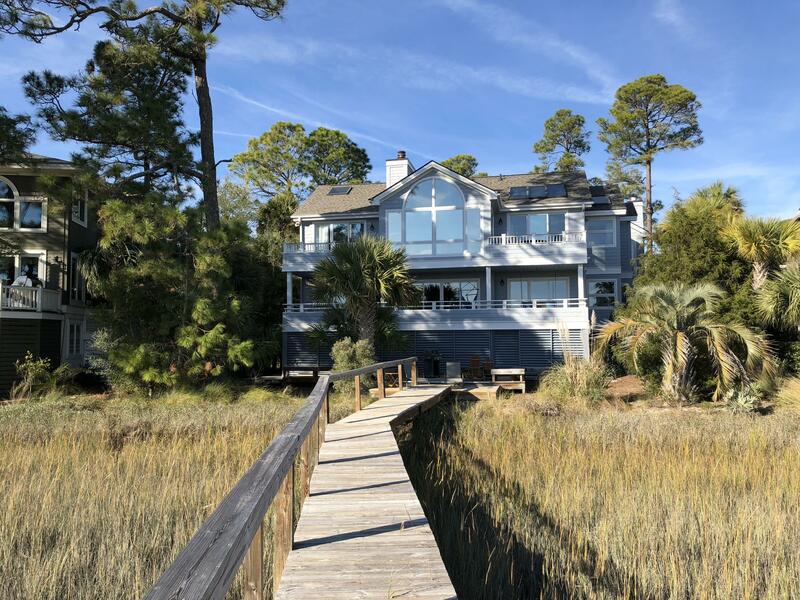 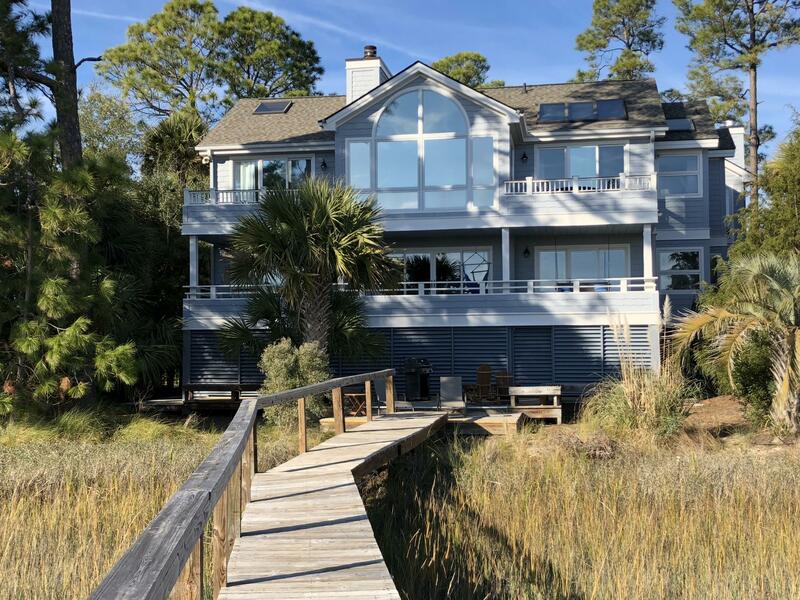 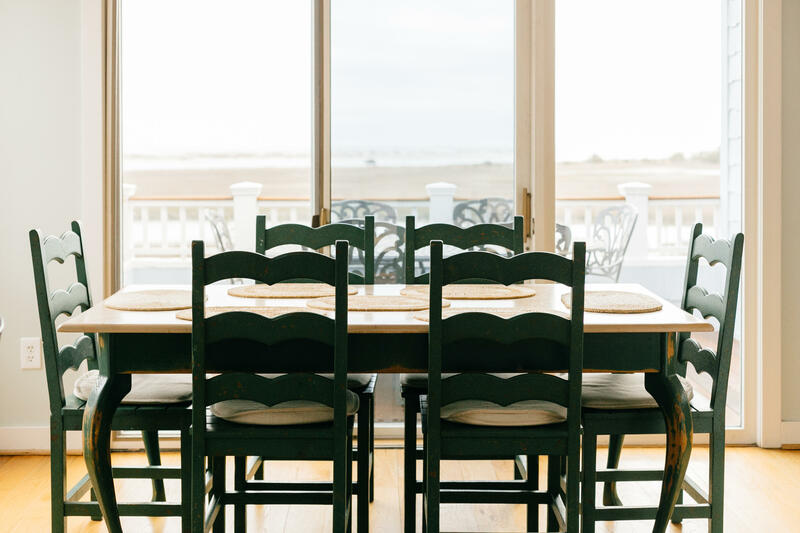 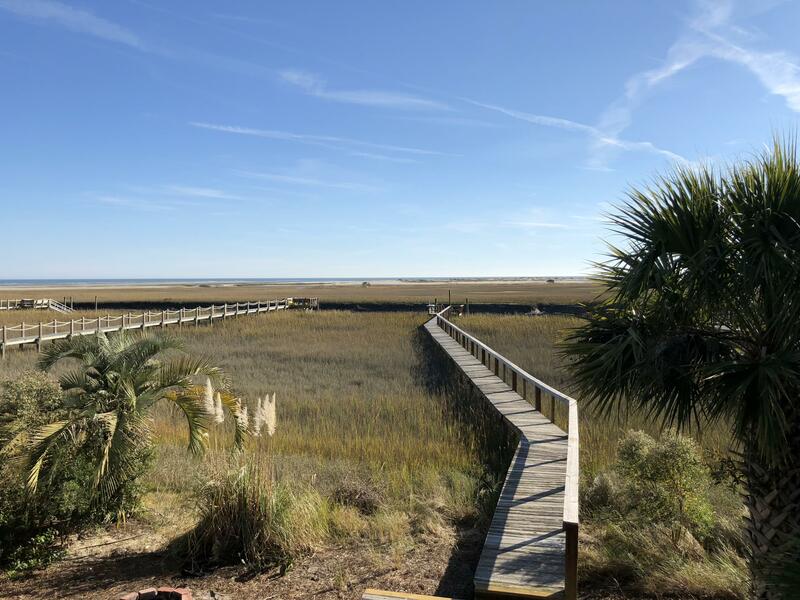 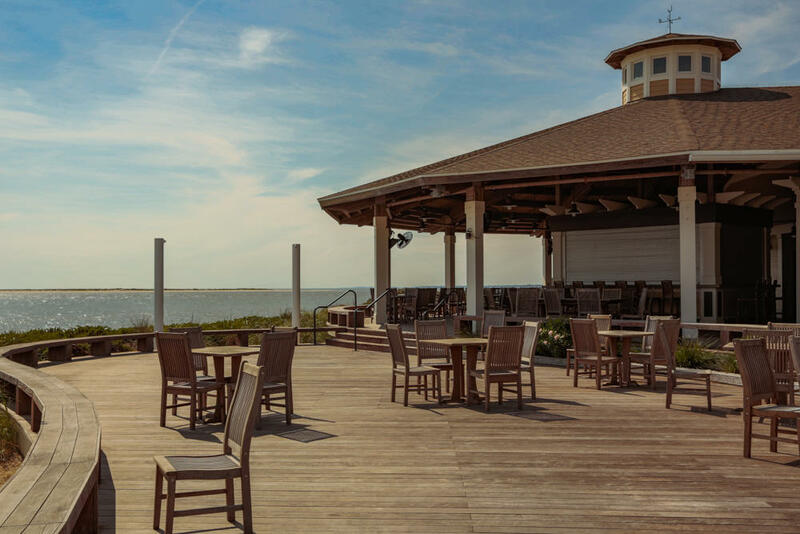 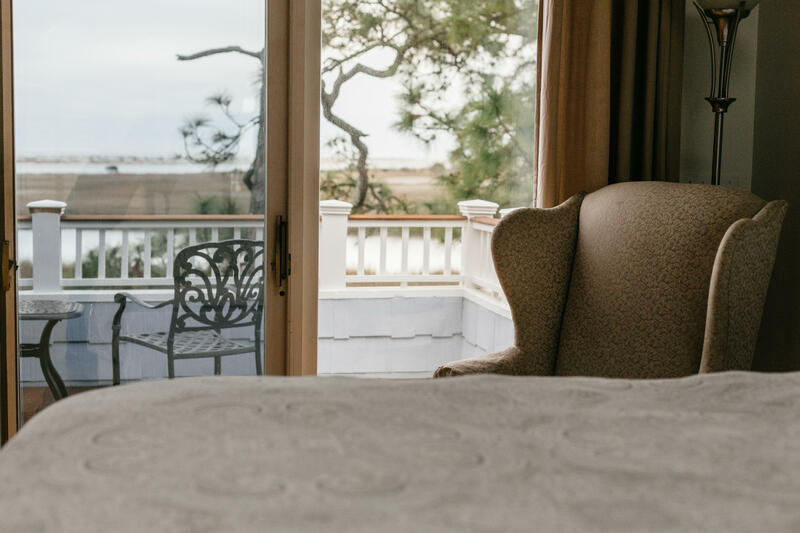 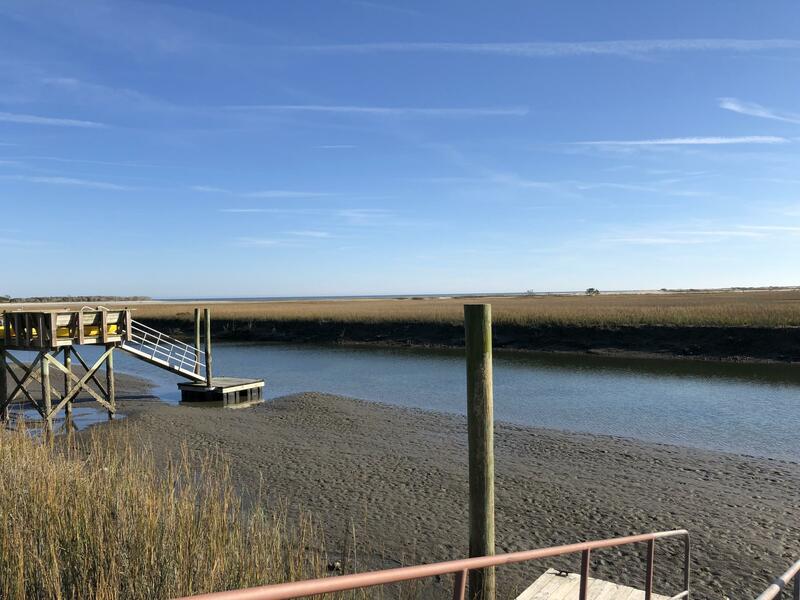 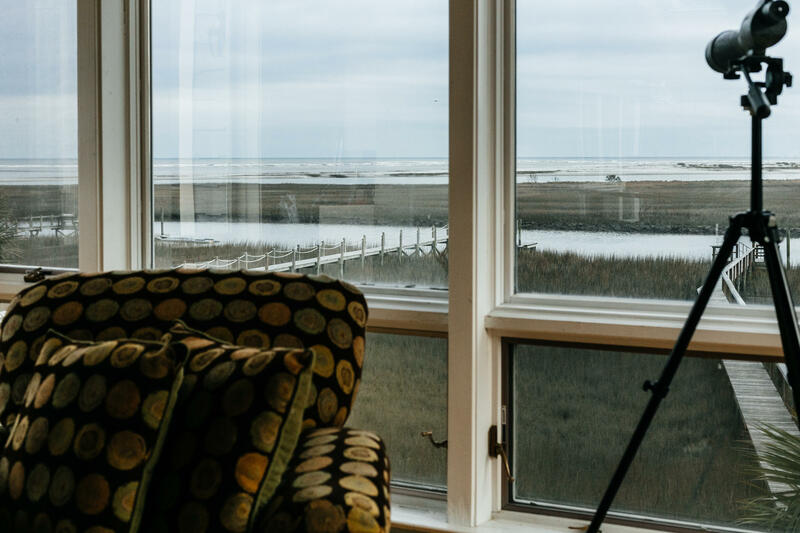 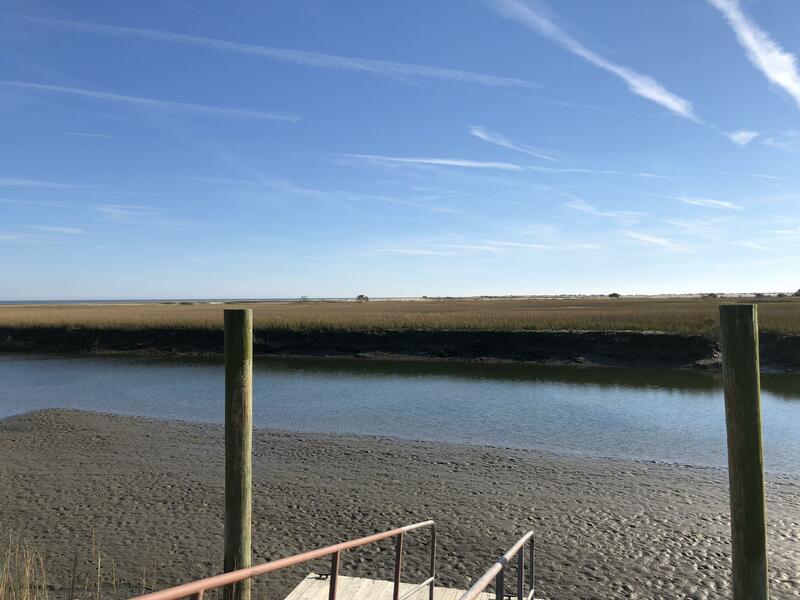 Take the elevator to the second story and step into a large living area with floor to ceiling windows offering majestic views of the marsh, ocean and the horizon. 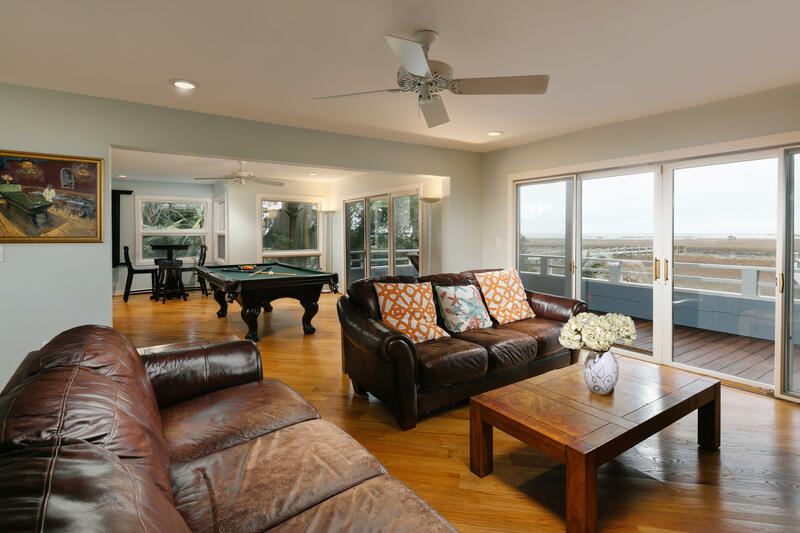 Off of this impressive room as a king master suite. 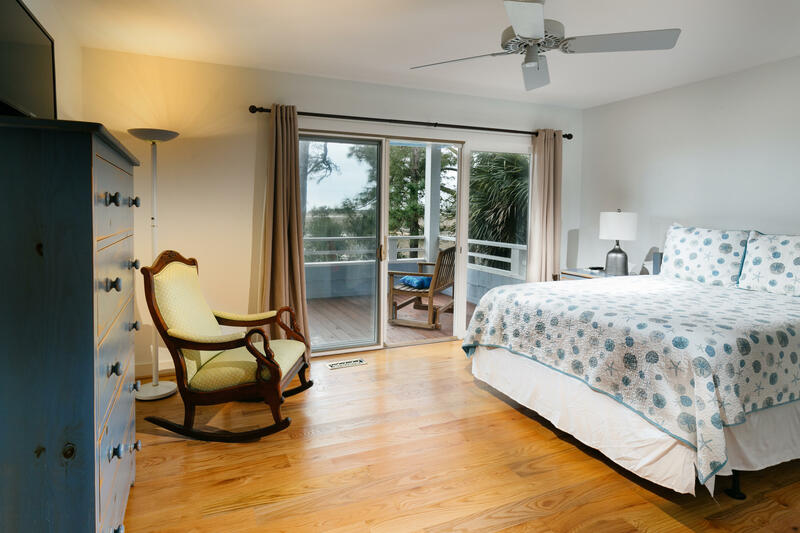 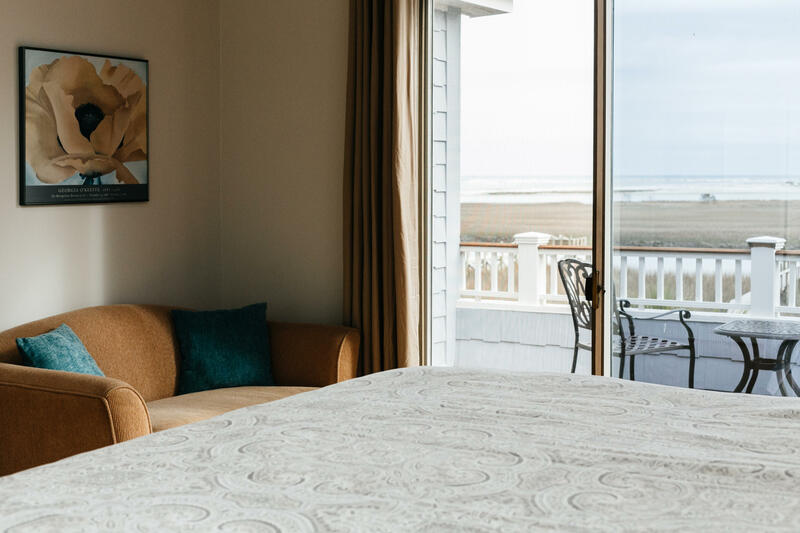 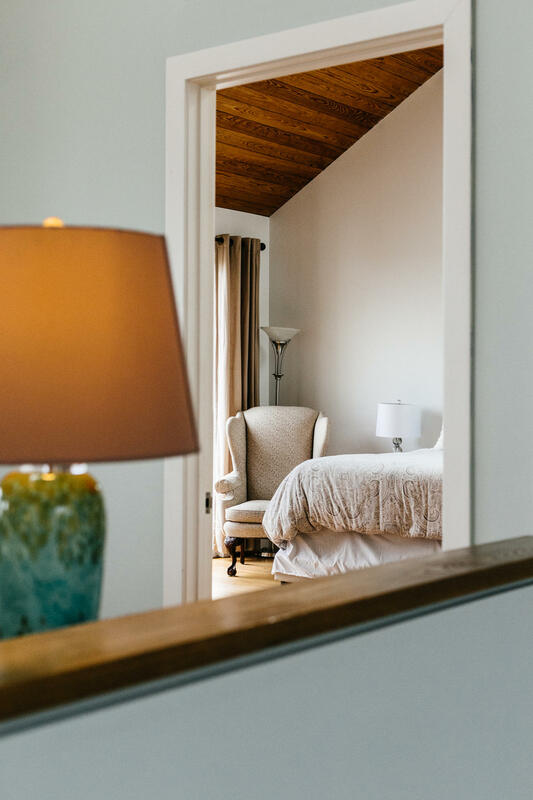 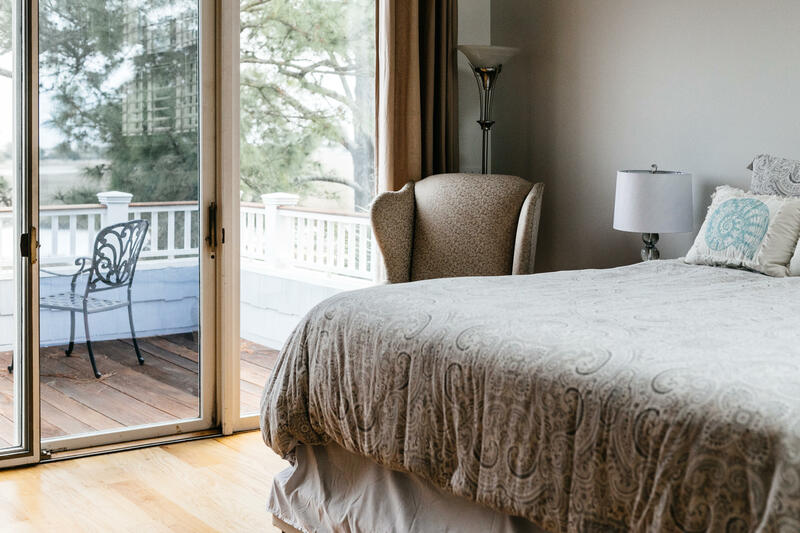 The master suite offers ample lighting and a balcony with a seating area. 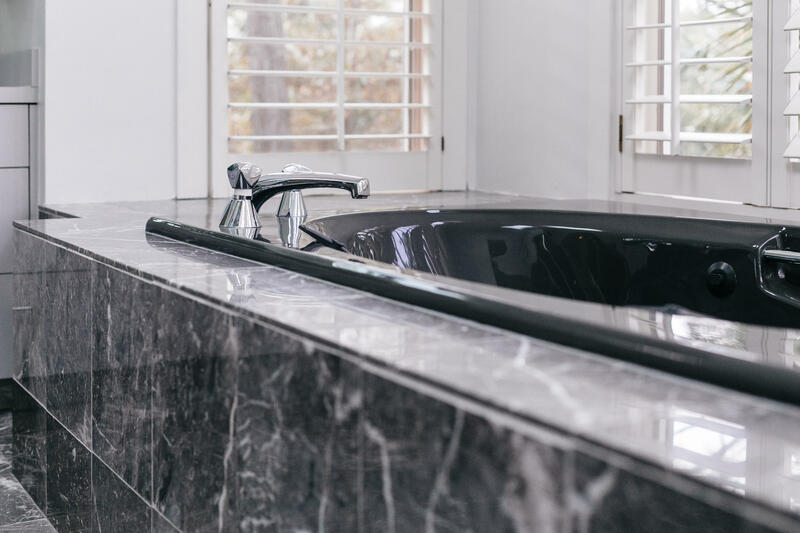 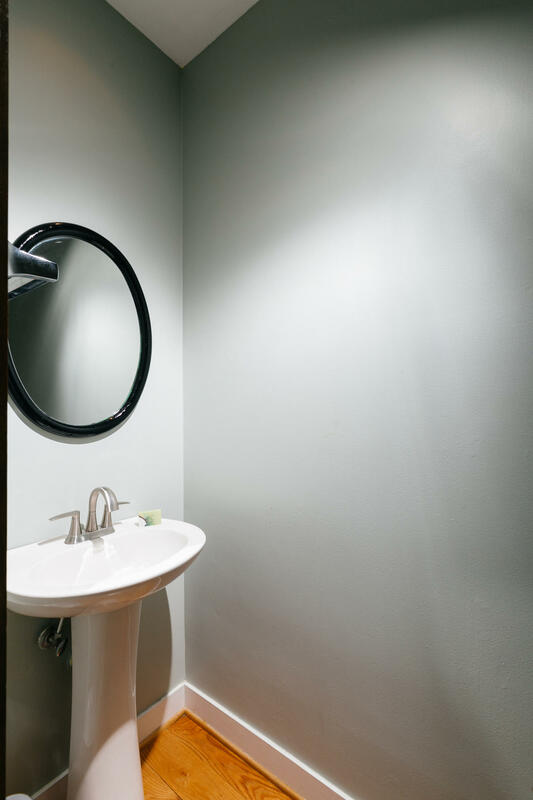 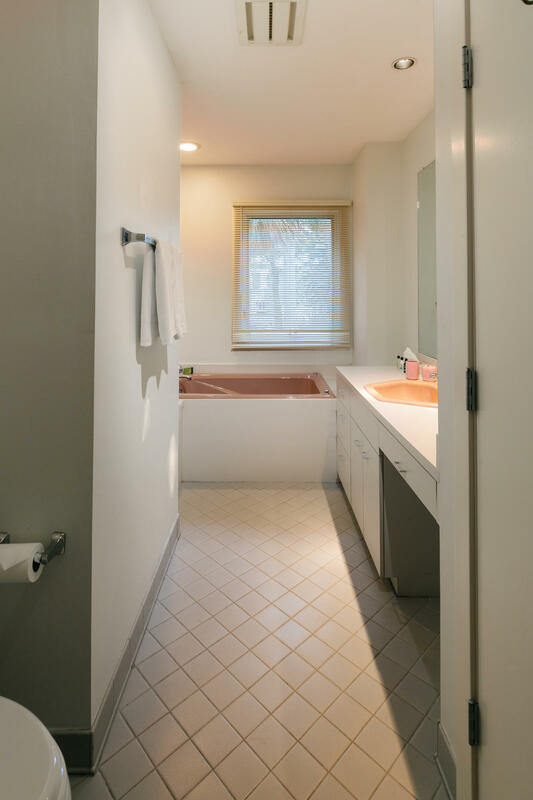 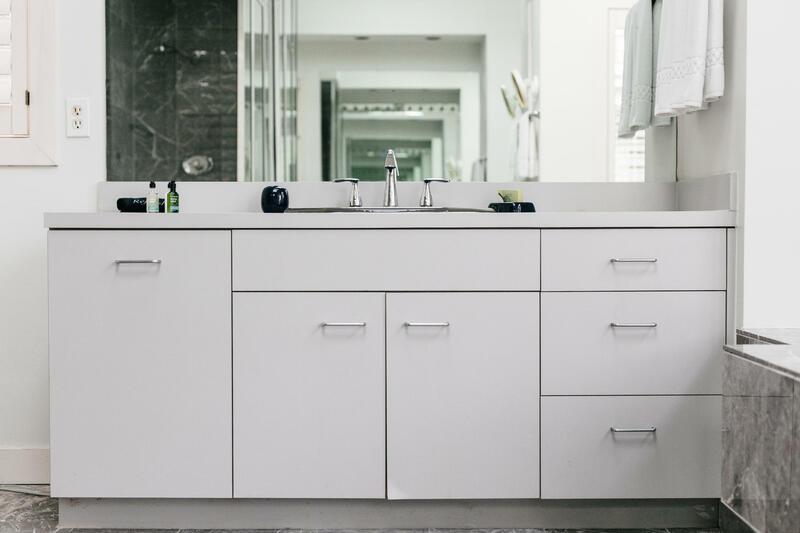 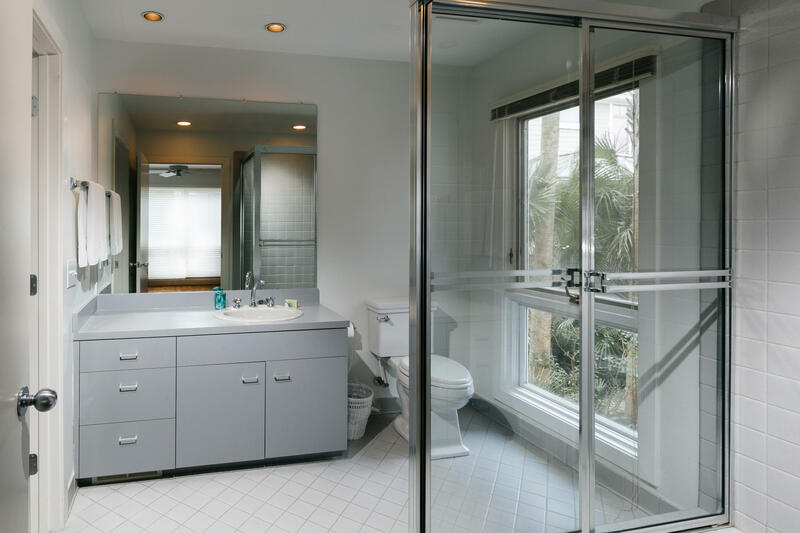 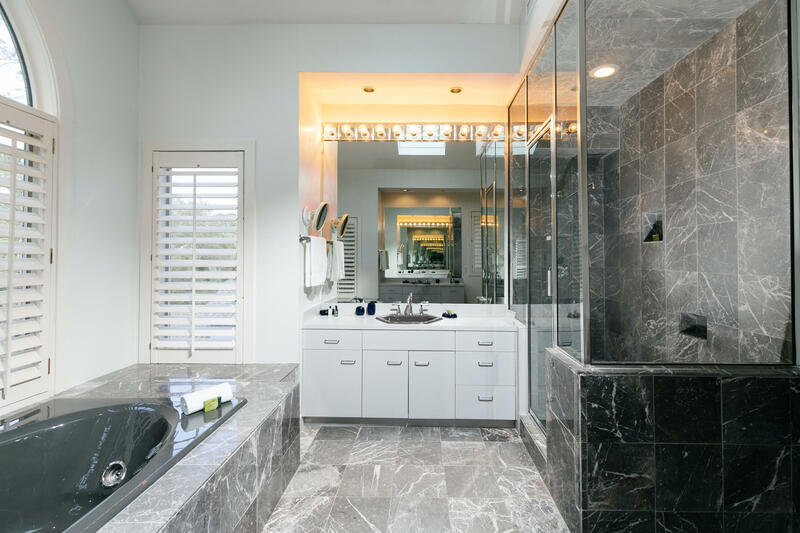 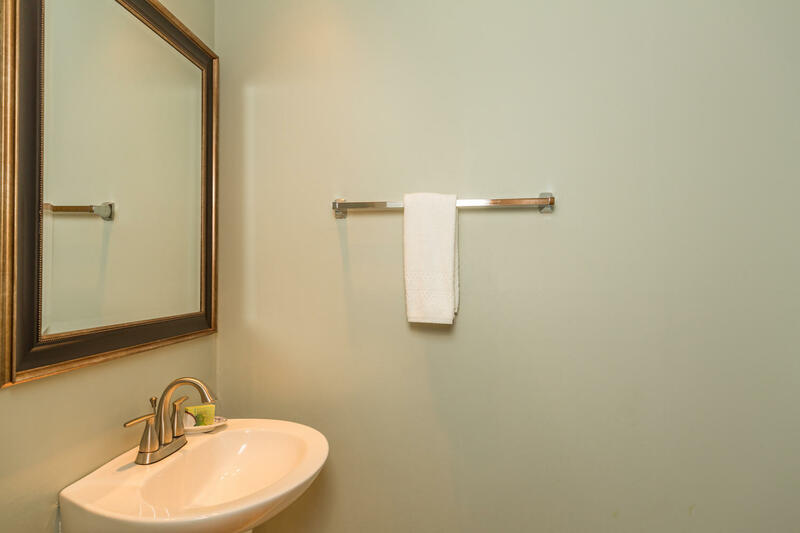 Just off of the large master walk-in closet is a grand master bath with a walk-in shower and an oversized soaking tub. 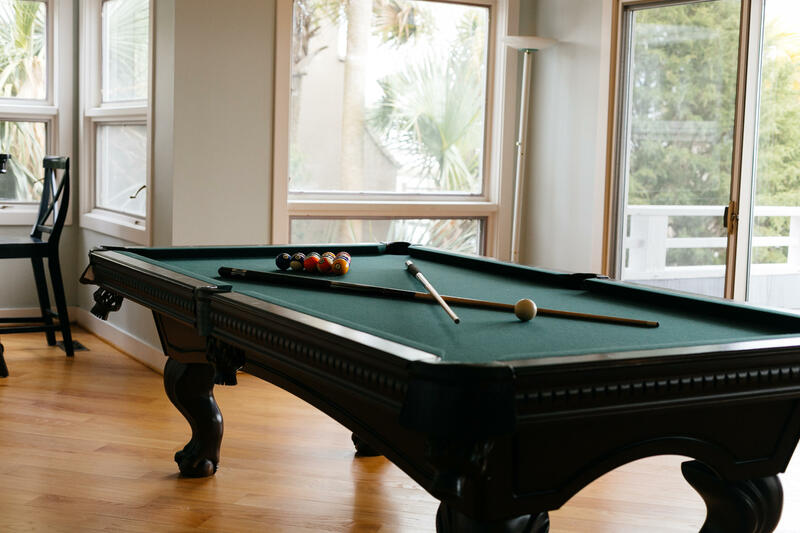 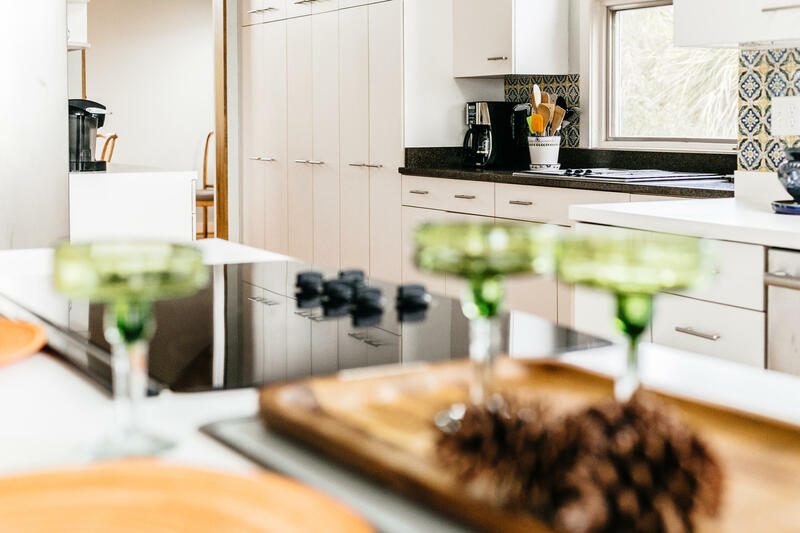 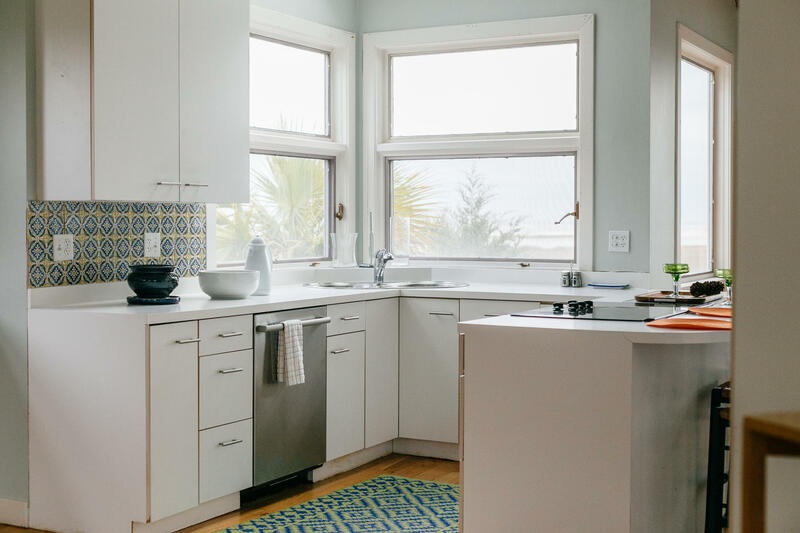 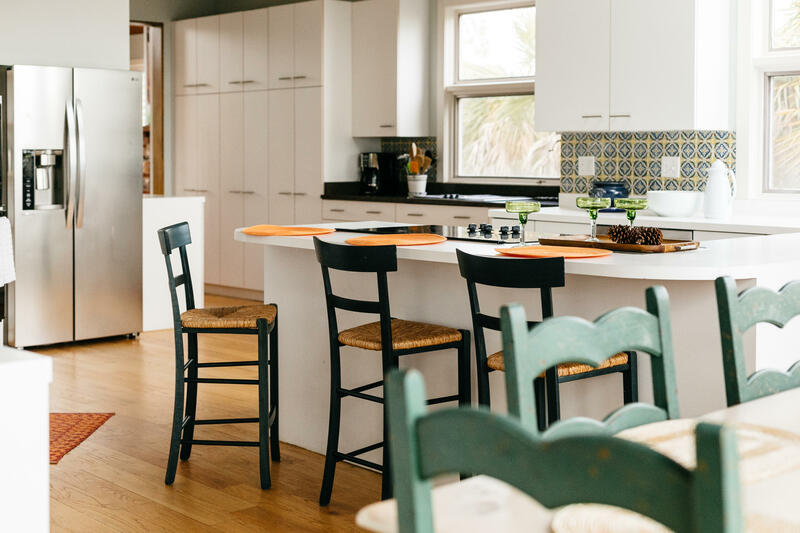 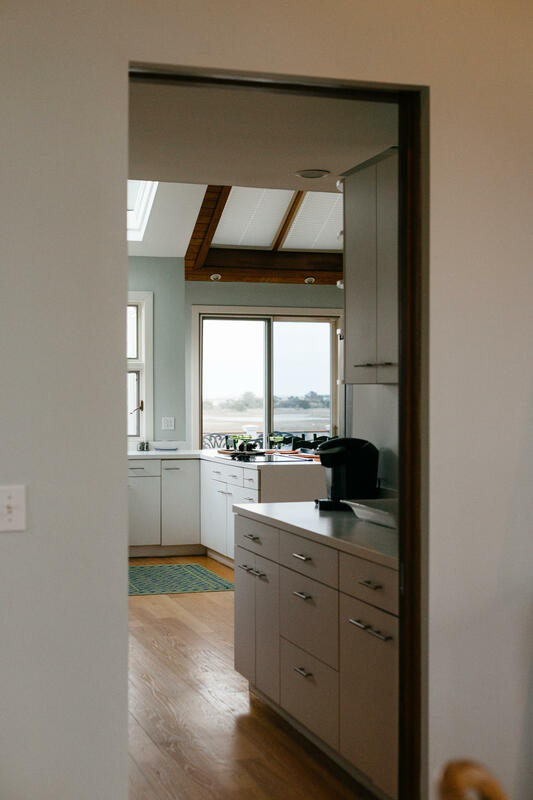 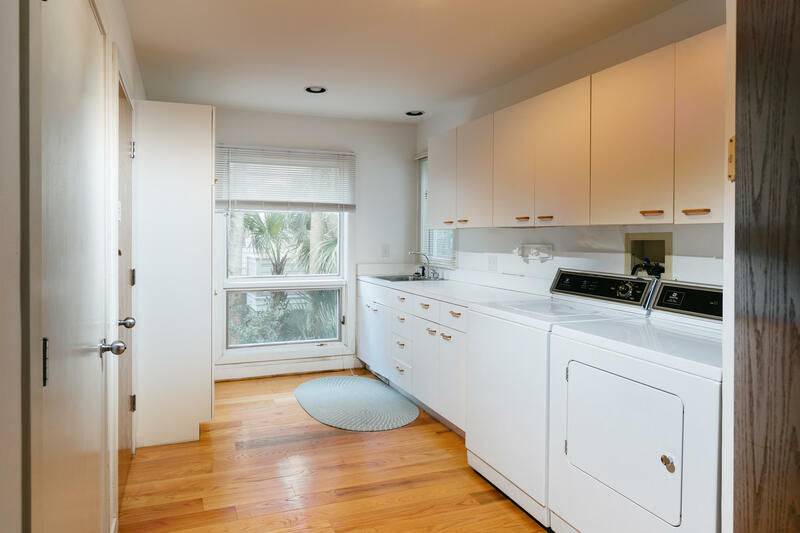 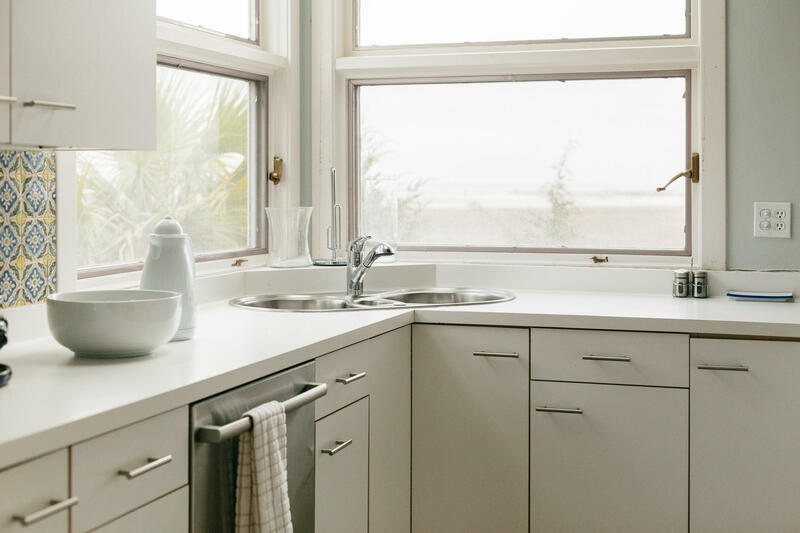 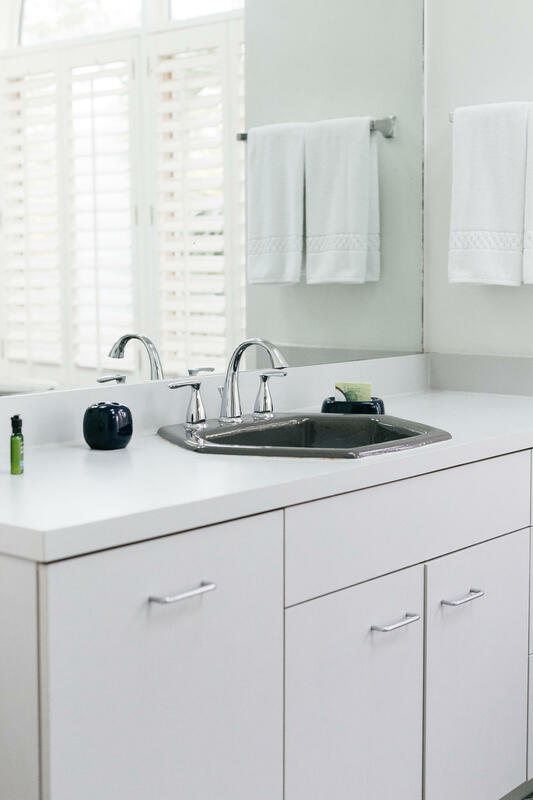 The spacious kitchen, opposite the master, has a balcony, ample counter space, a wine fridge, a new Bosch dishwasher, a new refrigerator, multiple appliances and an indoor grill cooktop! 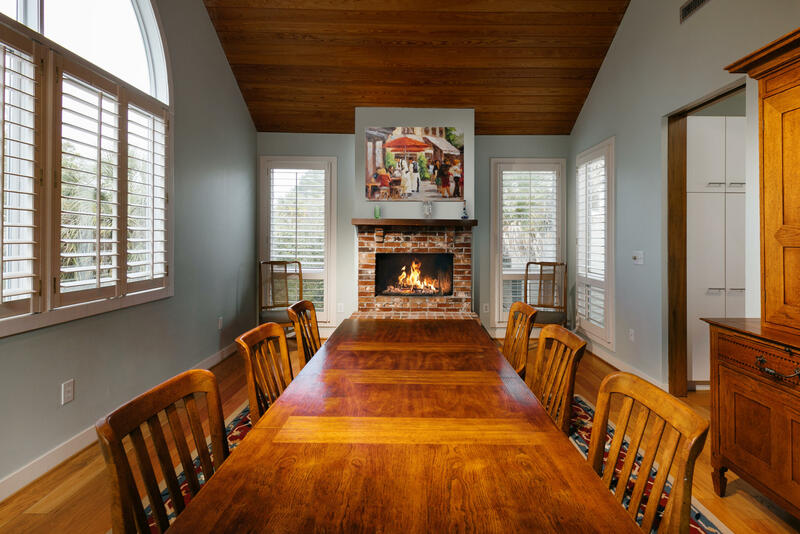 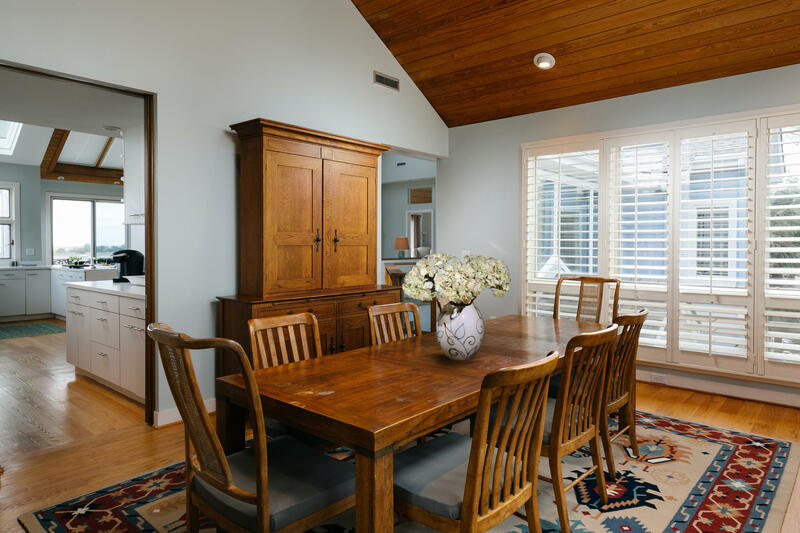 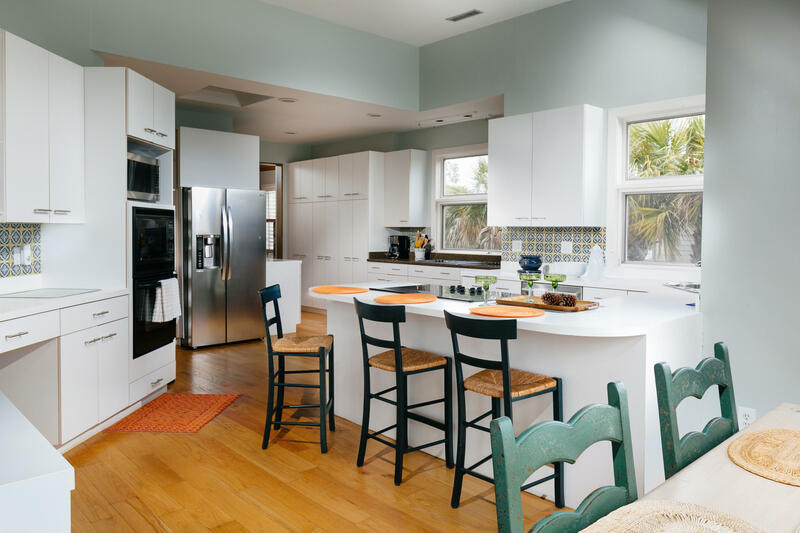 Outside of the kitchen is another half bath and a separate formal dining area which is perfect for formal family gatherings. 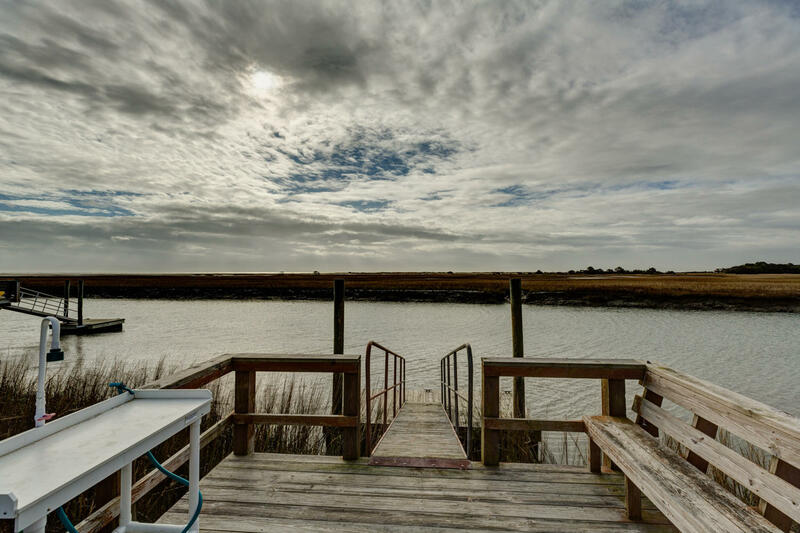 If you enjoy the outdoors, you can walk out to the dock from directly under or around the side of the house. 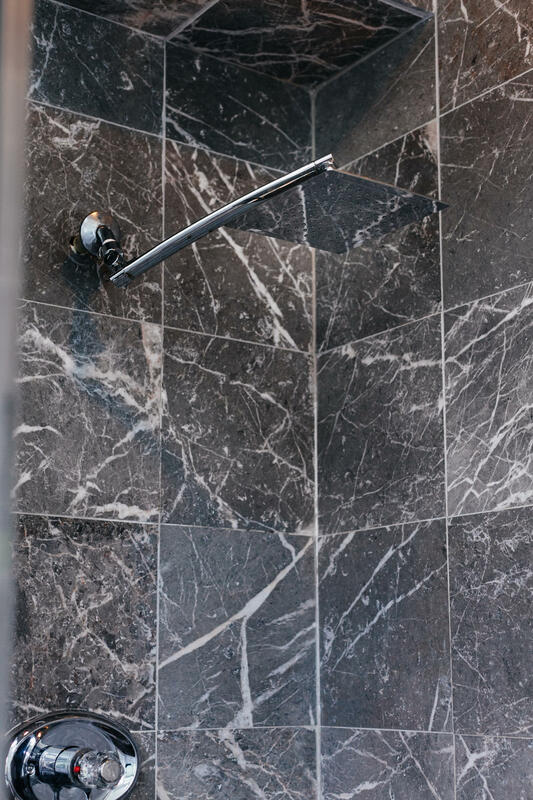 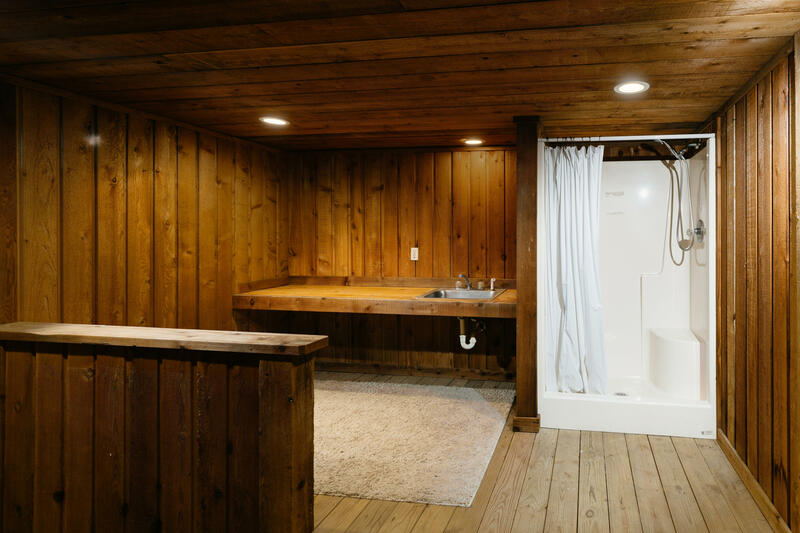 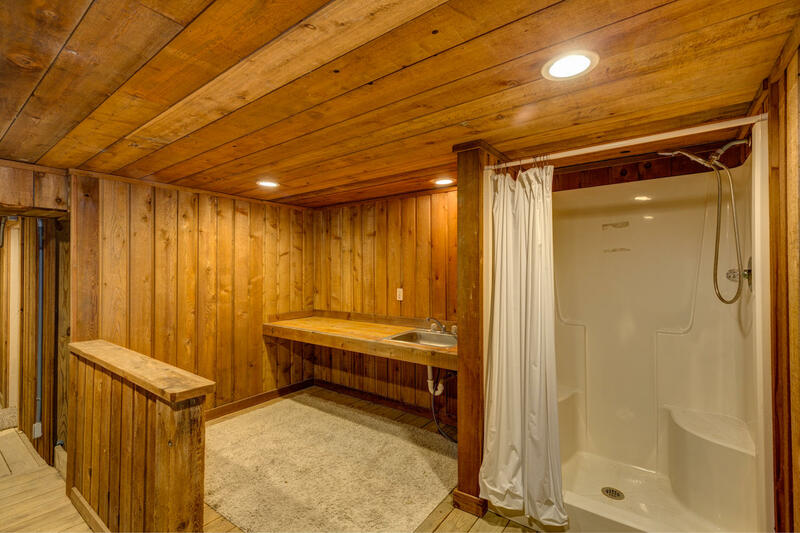 There is also the convenience of an outdoor shower. 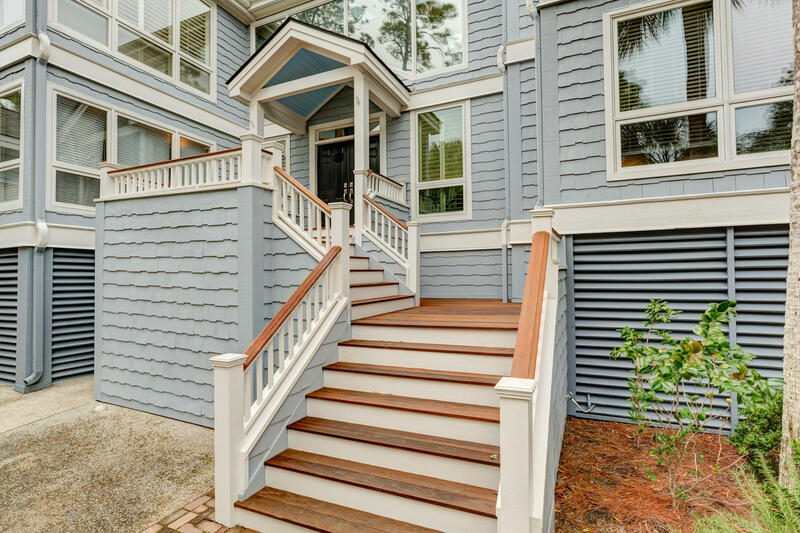 The ground-level deck expands the whole width of the house. 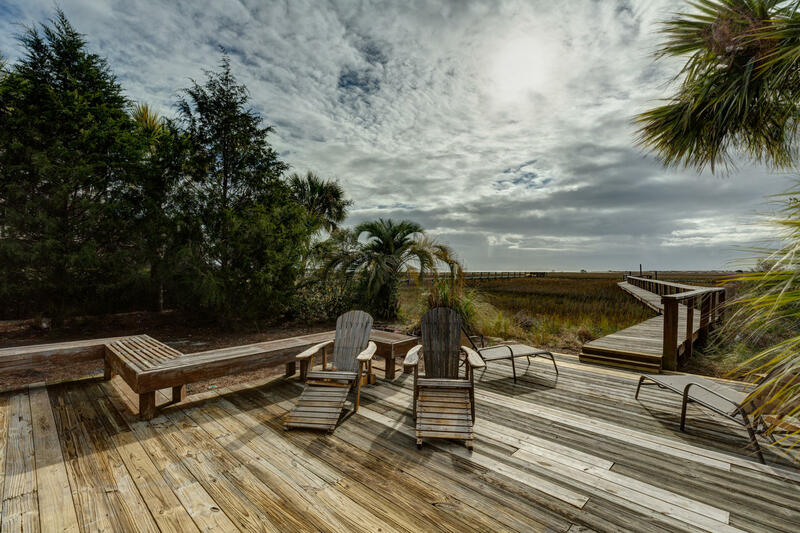 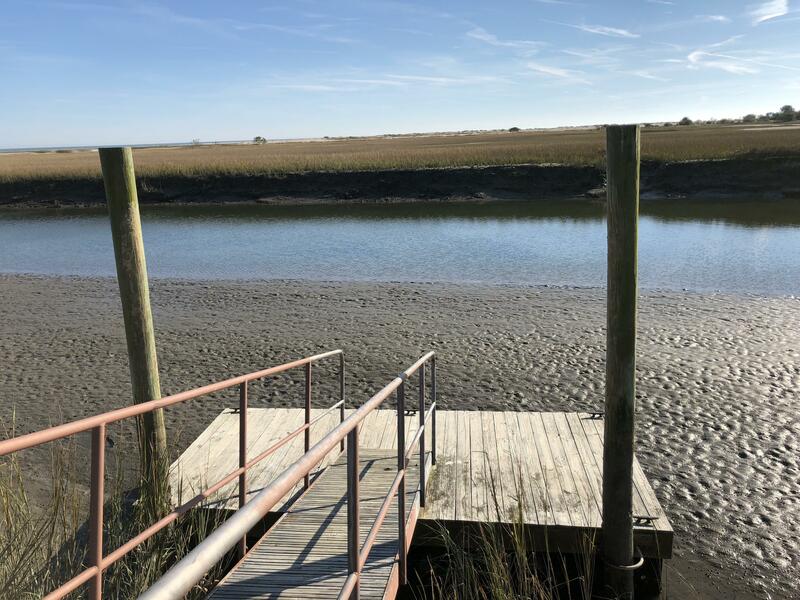 Walking out the dock to the water, you can put in your kayaks or just sit and enjoy the sun, the view and wildlife. 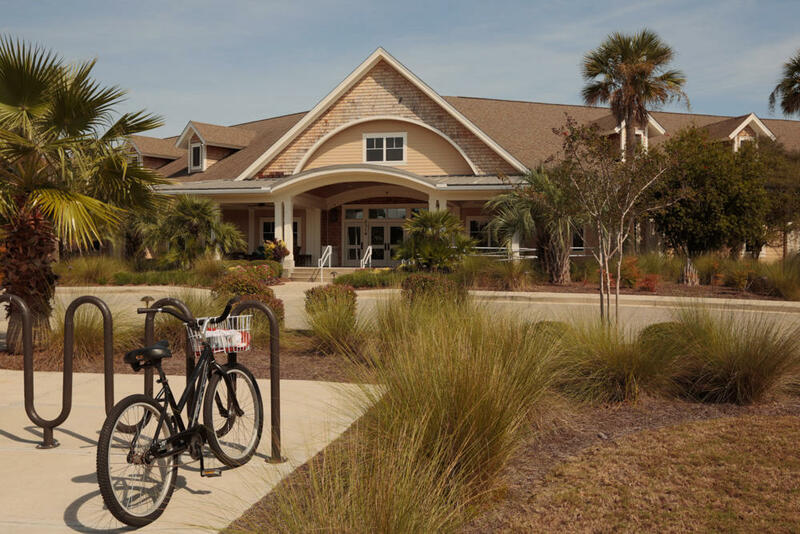 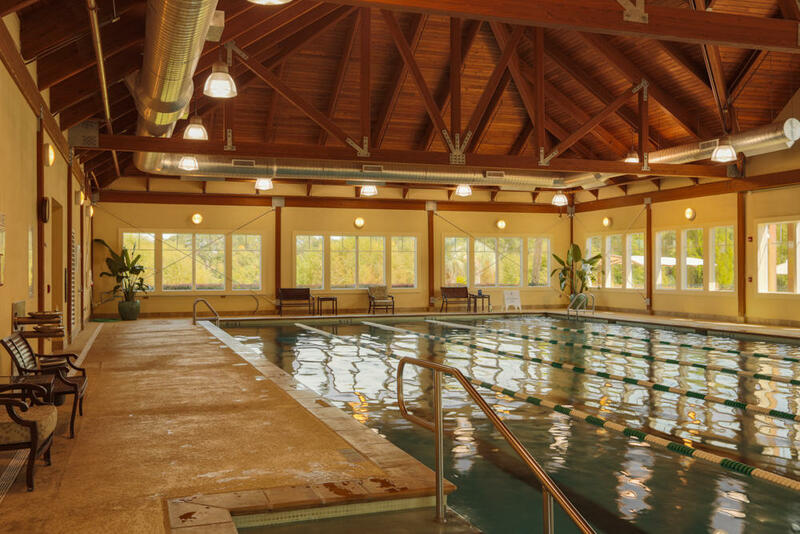 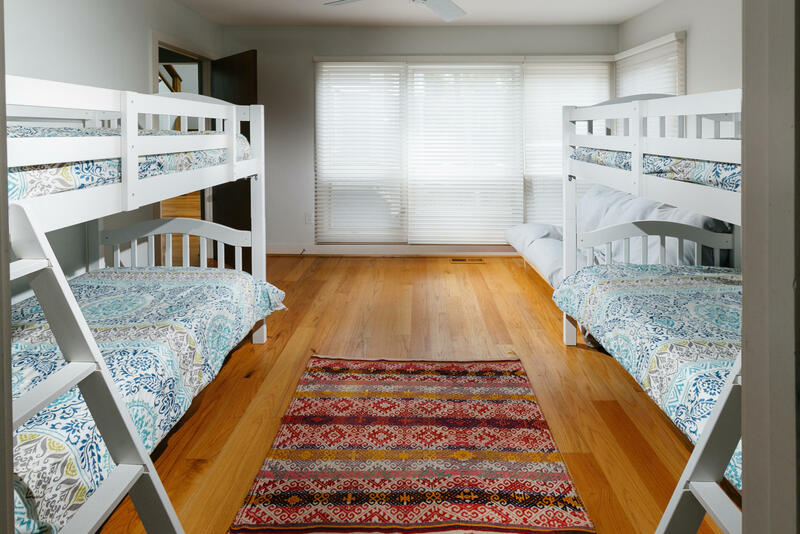 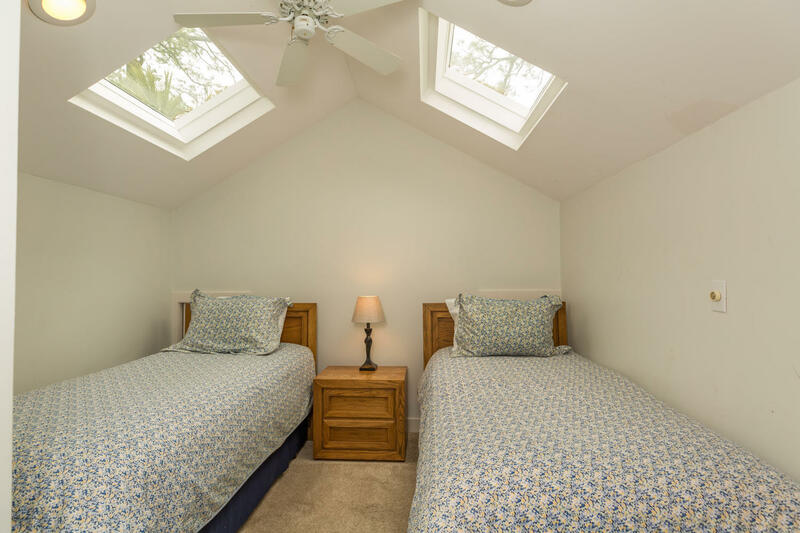 The home offers ample storage under the home for kayaks and recreational equipment. 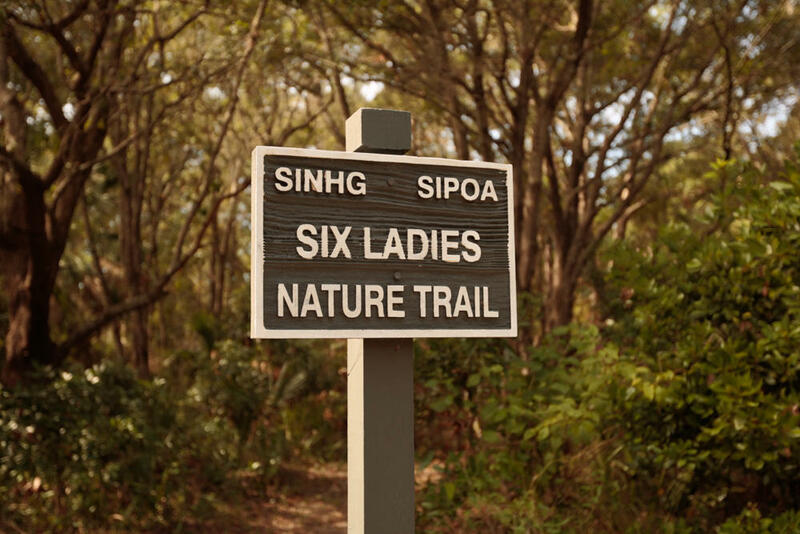 This is one you simply must see to appreciate.